In November-2018, we were completing 10 years of married life. To celebrate the occasion, I pitched the idea of a trip/vacation to my beloved wife. As a couple we are religiously inclined and have traveled to several temples, pilgrimage destinations before. 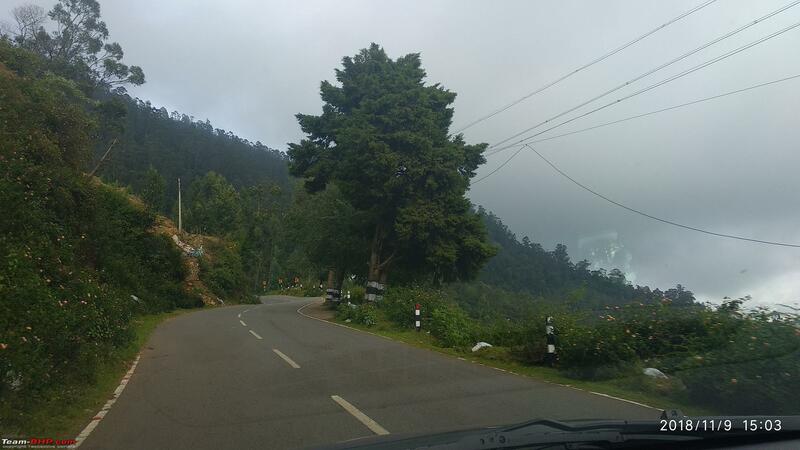 However, this time I let my better-half choose the type of vacation: Temples, Beaches, Hill station or bit-of-everything. 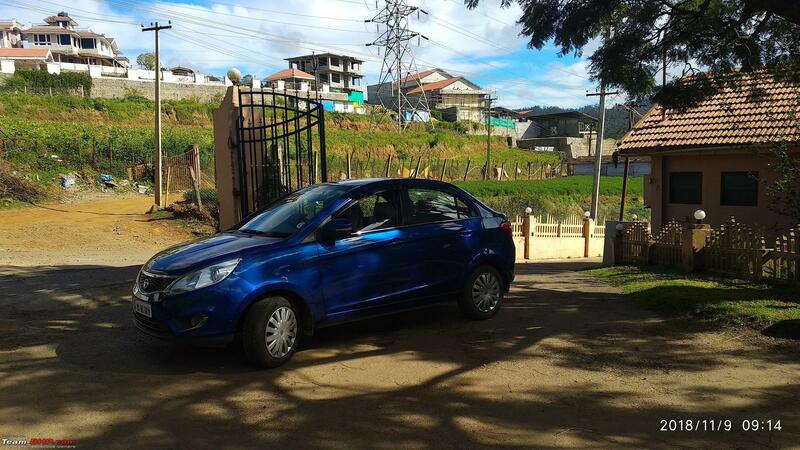 She always prefers warm weather, yet she chose the hill station option, that too in the month of November. She left the detailed planning and execution to me. As per our family tradition/calender, Deepavali fell on 6th November. And, we had to attend a wedding in Chennai on 10-11 November. So the vacation plan was built around this. 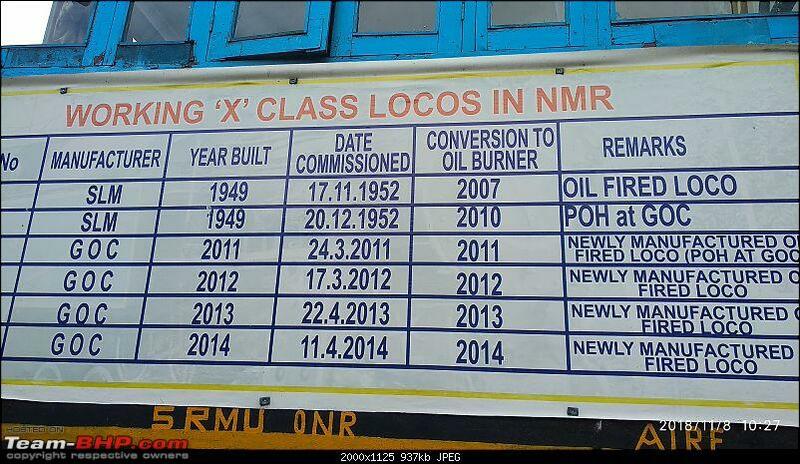 The idea was to leave from Bangalore on the morning of 7th Nov. And reach Chennai by the evening of 10th. 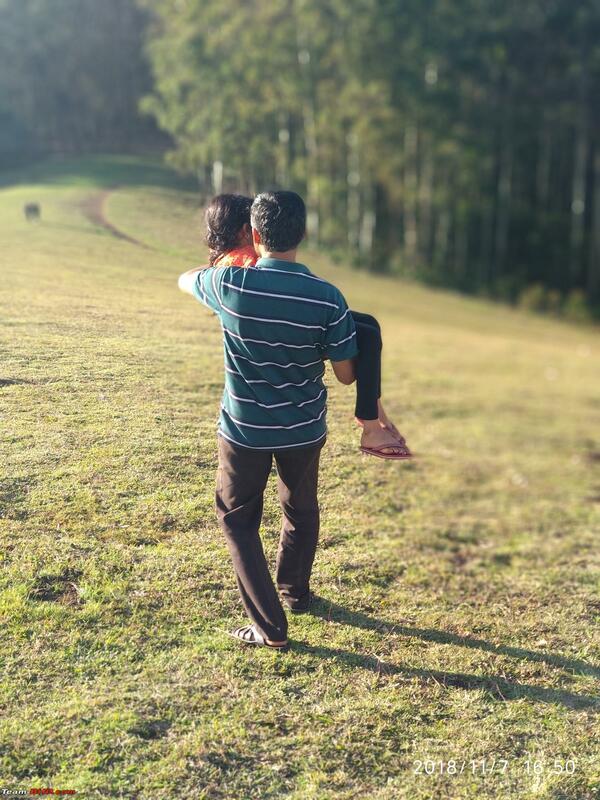 Return to Bangalore after the wedding on 11th Nov. We had been to Chikmagalur in 2017. 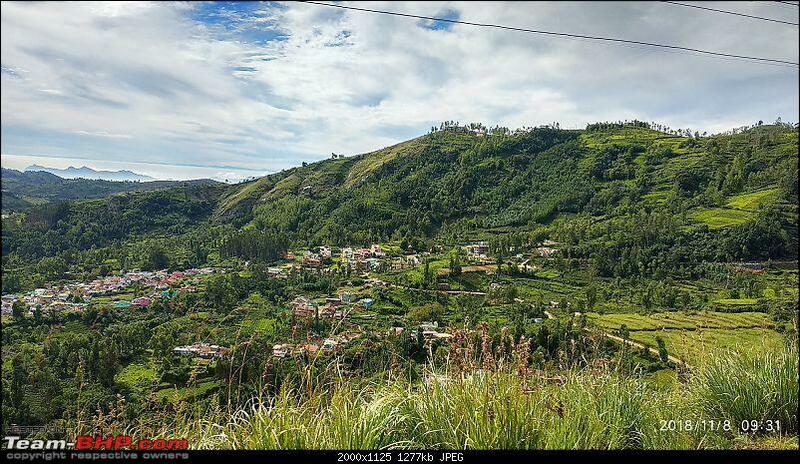 So, the only hill station that fit this plan was the Queen of the Hills - Ooty. 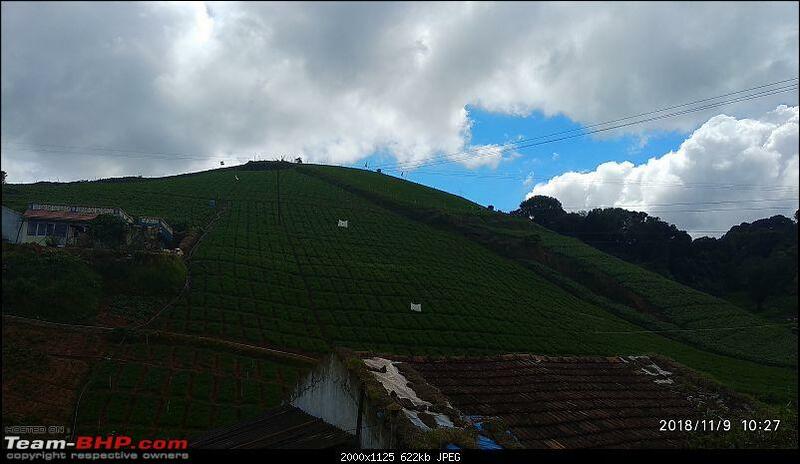 The last time I went to Ooty was in 2001 as part of a college trip. As a couple, we had never been there. I quickly booked hotel room at Hotel LakeView for 2 nights. 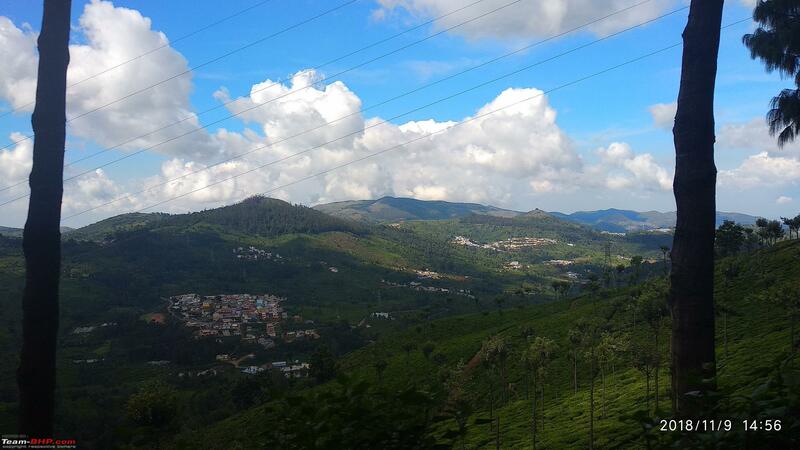 The plan was to leave Ooty on 9th Nov. 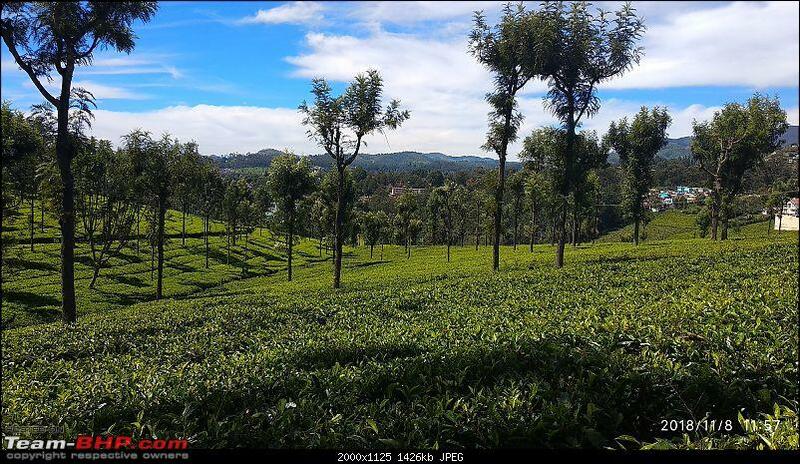 I did not want to do Ooty-Chennai in a single day. 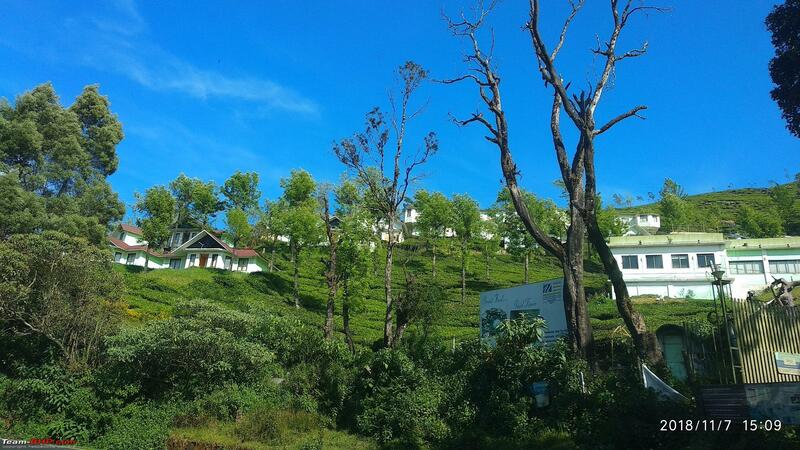 Hence, I booked a room for single night (9 Nov) at Hotel Green Ridge at Salem (on the bypass). 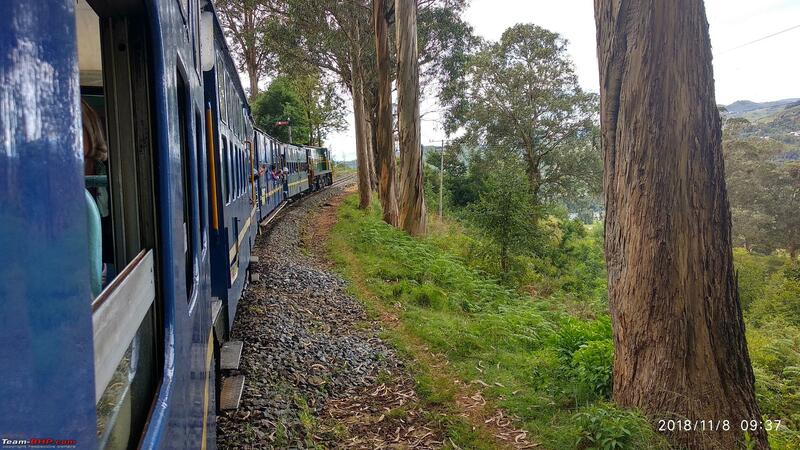 As a surprise, I also reserved tickets for the 3 of us on the famous Nilgiris Mountain Railway on the 8th Nov - one way trip from Ooty to Coonoor. All the reservations and bookings were done by 20th September and the wait began. Last edited by srvm : 26th November 2018 at 19:55. My wife doesn't drive cars even though she has a license. As usual, I was to be the sole driver for this trip. Our 8-year old chatterbox angel is always game for a trip - be it pilgrimage or sight-seeing or forest reserve or anything else. I'm a sedate driver who prefers steady munching of miles instead of setting records. I often find fellow BHPians covering the same distance I cover in much less time. I've always wondered about how they achieved such higher average speeds. Only recently, while reading a thread on The Futility of Hasty Driving, I understood the reason: As a family, we took too many food and bio breaks during our trips. Also, by TBHP standards, I'm fairly new to driving - a bit more than 2 years. My parents who usually accompany us on most trips skipped this one since they had to be in Chennai a week in advance for the wedding preparations. 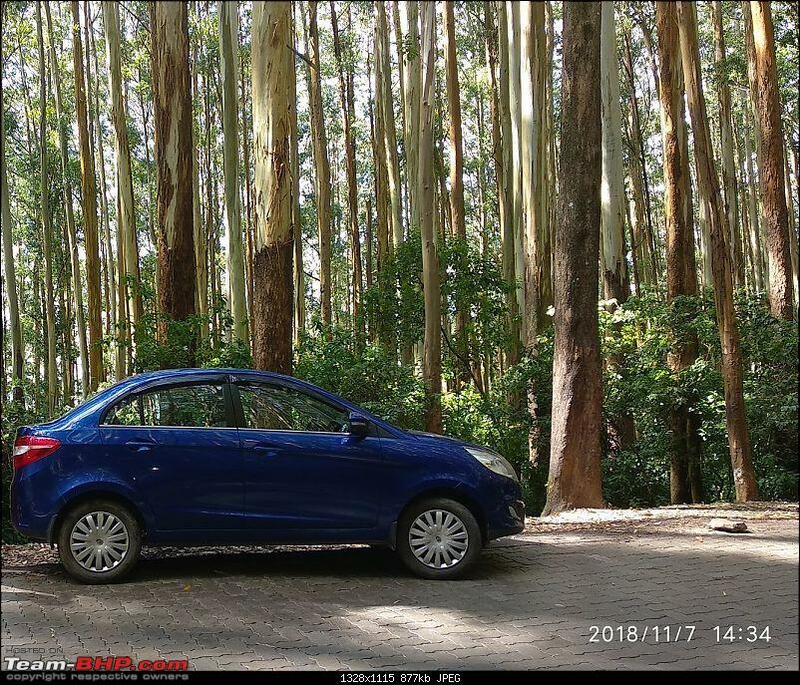 The car has its weak points (more on this later) but at 7 lakhs on-road price in Bangalore (in Feb-2016), I found this variant particularly value-for-money. 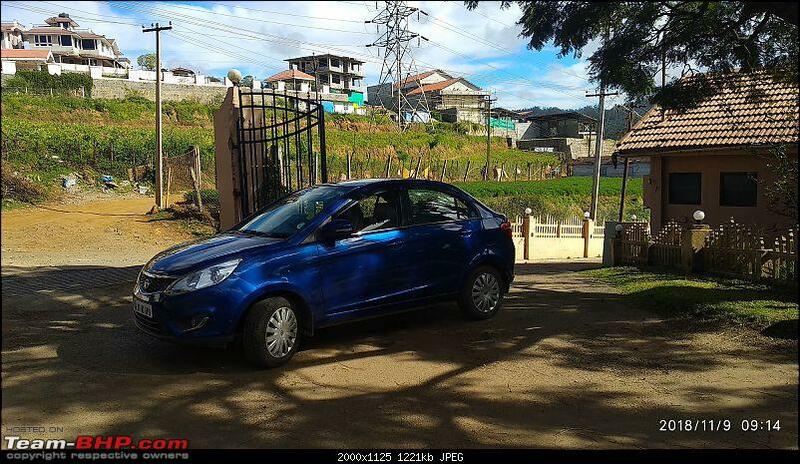 The price included free first year warranty, reverse parking sensors and art leather seat covers. At the start of this trip the Odo stood at 26103 km. Two-and-half years of (mostly) trouble free ownership. Last edited by srvm : 1st December 2018 at 11:16. 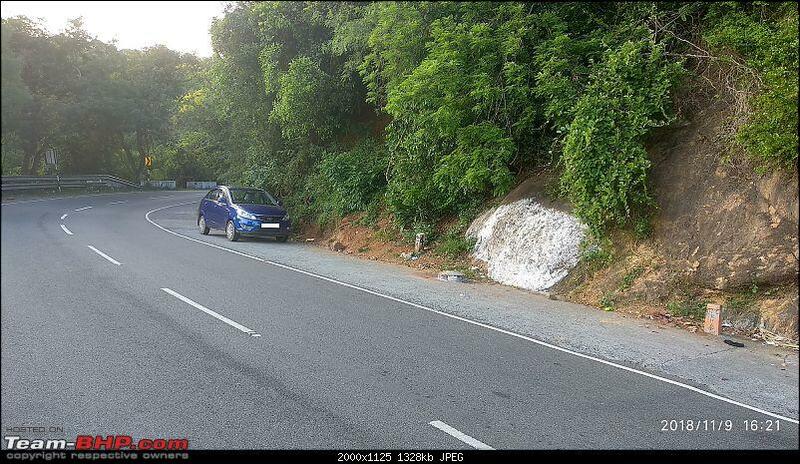 Anyone who drives between Bangalore-Mysore during holidays/weekends is posed with the same conundrum. Which route to take? 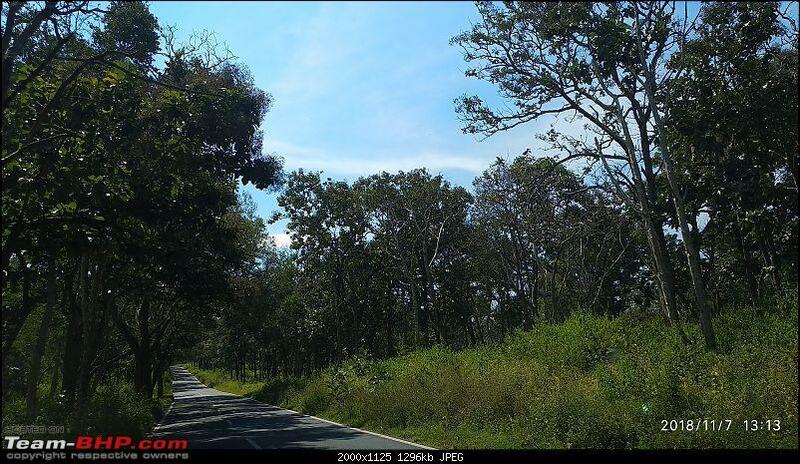 The straightforward divided carriageway Ramanagaram-Mandya route or the undivided carriageway under widening Kanakapura road or the Nelamangala-Belur Cross-Pandavapura-Srirangapatna route or via Magadi-Huliyurdurga? Some BHPians have worked out their favorite among the above. I'm yet to. We started from our home in C V Raman Nagar at 6.30am and reached our usual bio break plus breakfast joint: A2B restaurant in Bidadi at 7.30am. I did not like the idea of driving through Ramanagaram, Channapatna and Mandya on the day of Diwali. After breakfast, we took left at Byramangala Cross and hit Kanakapura road via Toyota Kirloskar plant, Harohalli Industrial area. 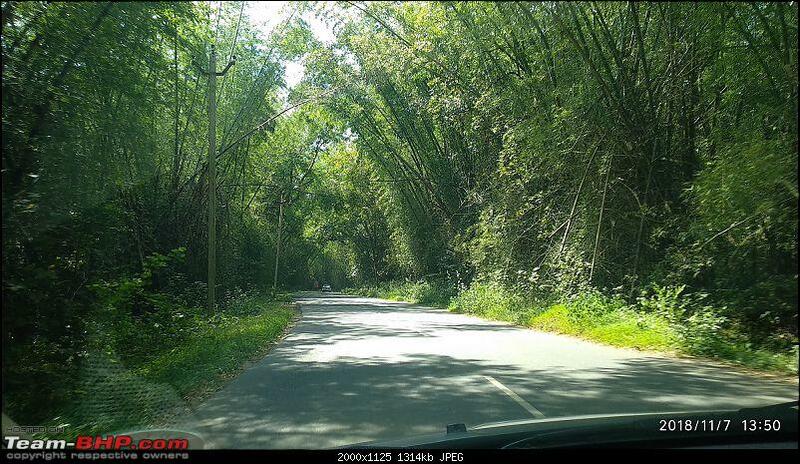 The road was fairly empty due to festival holidays but a bit narrow at some places. 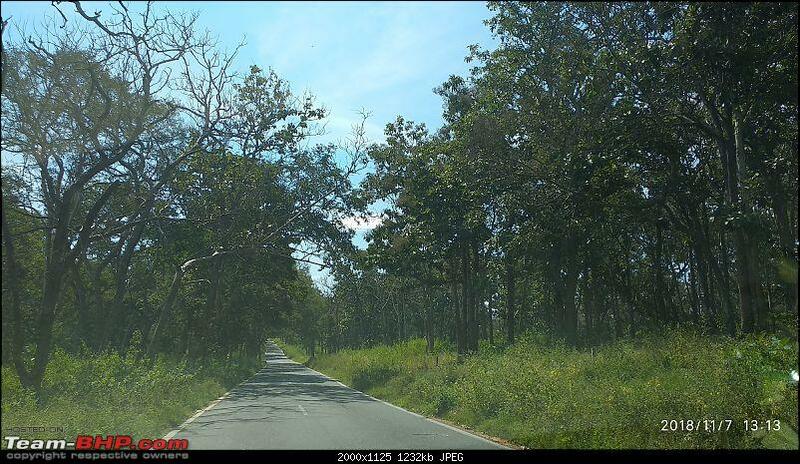 The Kanakapura road is getting widened up to Malavalli, hence overtaking is a bit difficult. 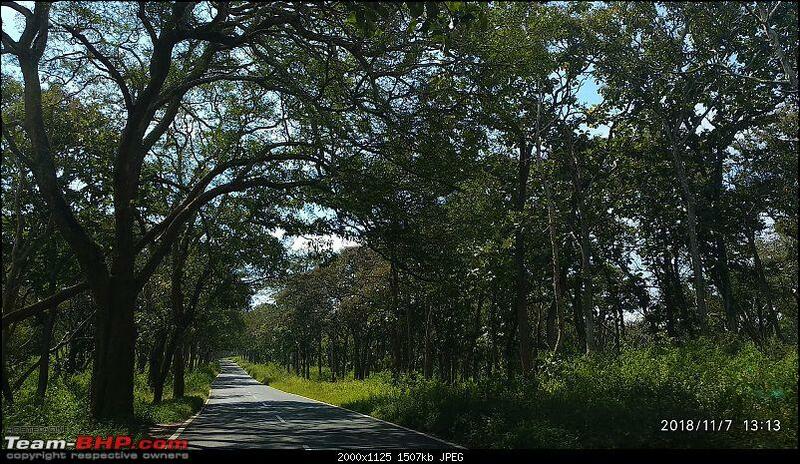 Traffic was relatively sparse compared to the usual Mandya route and we had a peaceful drive. 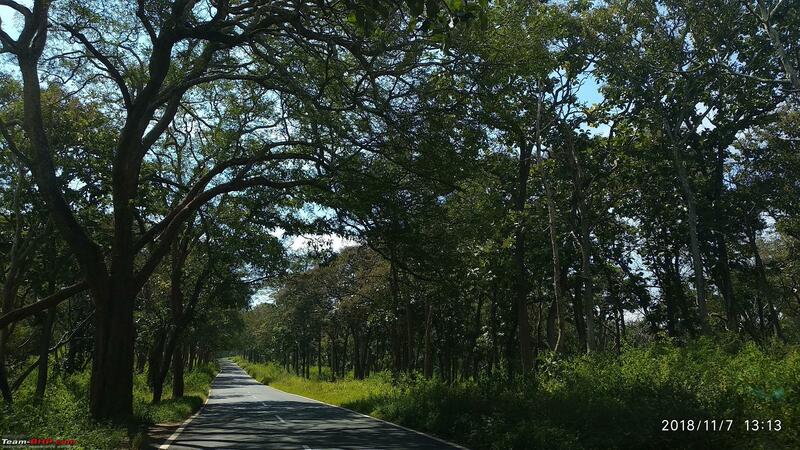 Malavalli-Mysore Ring Road is a wide, smooth undivided road but aboslute bliss to drive. We had early lunch at Nanjangud town at Hotel Surabhi. It is a pure veg hotel with average ambience. But the dosas were very tasty. Next stop was in Gundlupet town for Petrol topup. We entered Bandipur forest check post around 12.40pm. 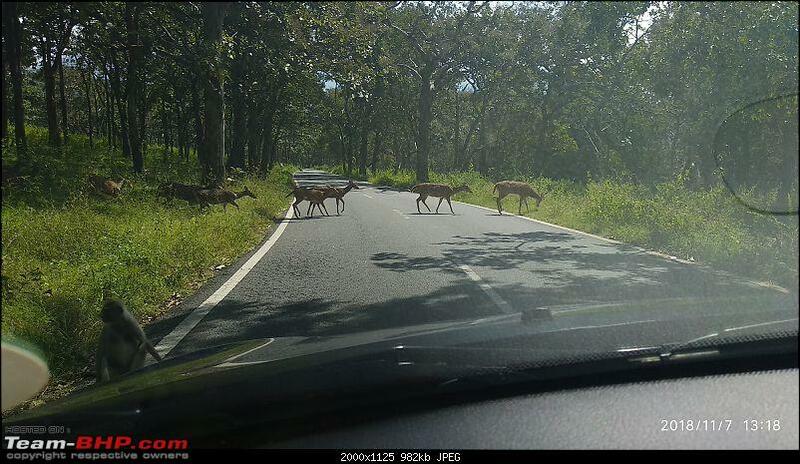 This was our first trip through Bandipur forest and we took it leisurely. We were always on the look out for wildlife. 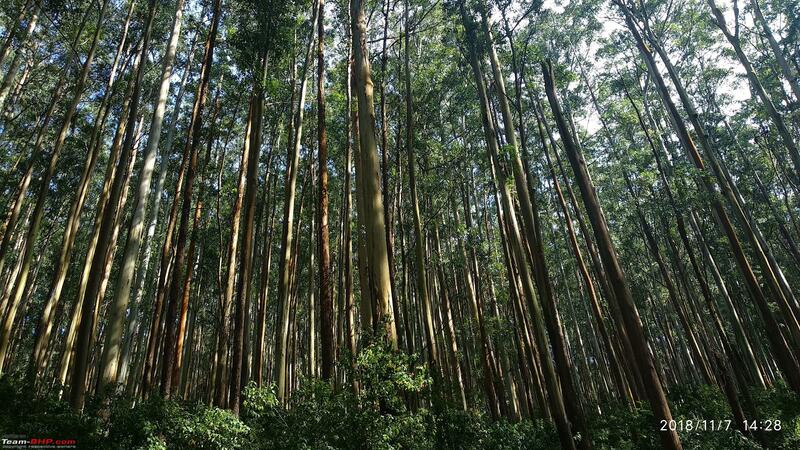 The forest was full of greenery at this time of the year. We could only spot some deers and monkeys. No elephants. My wife had heard about the steep 36-hairpin route via Masinagudi and she was quite nervous about that route. 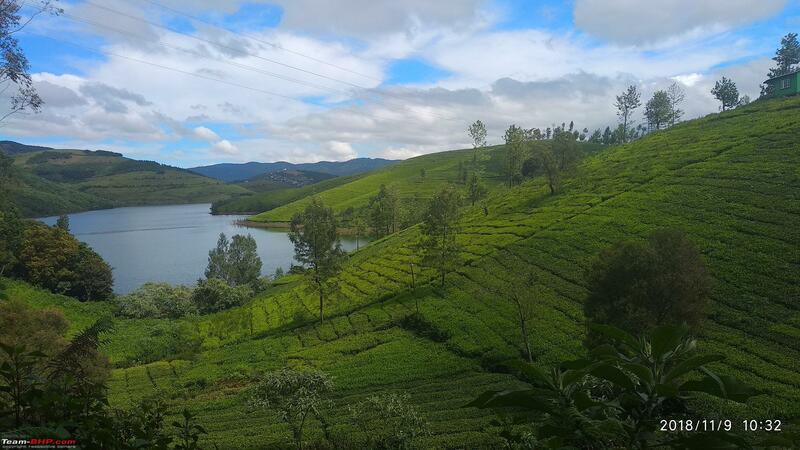 Also, we wanted to see Pykara waterfalls and 9th Mile Shooting Point on the way to Ooty. 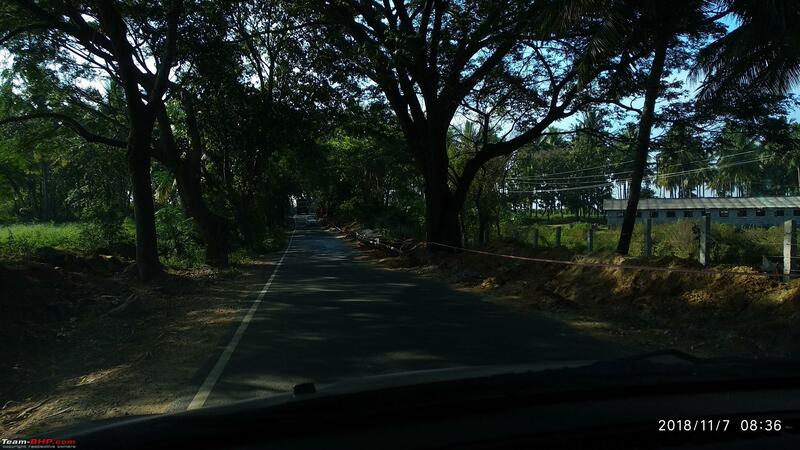 So, at the Theppakadu junction, we took the road towards Gudalur. 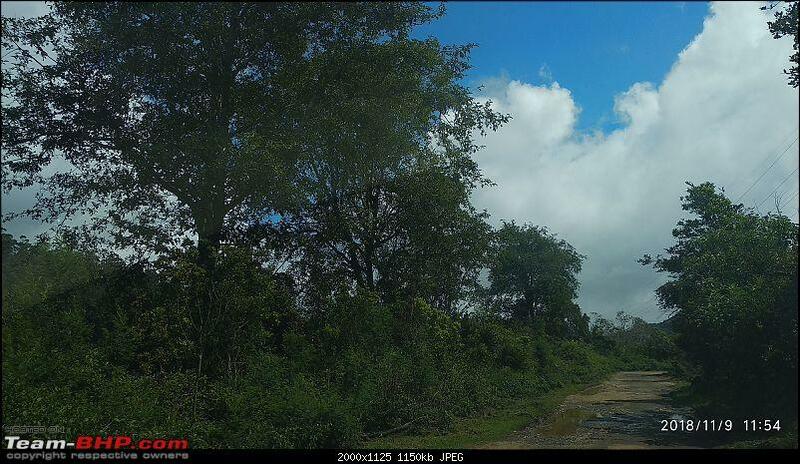 This section of road was a combination of good smooth tarmac and broken, pothole riddled patches. 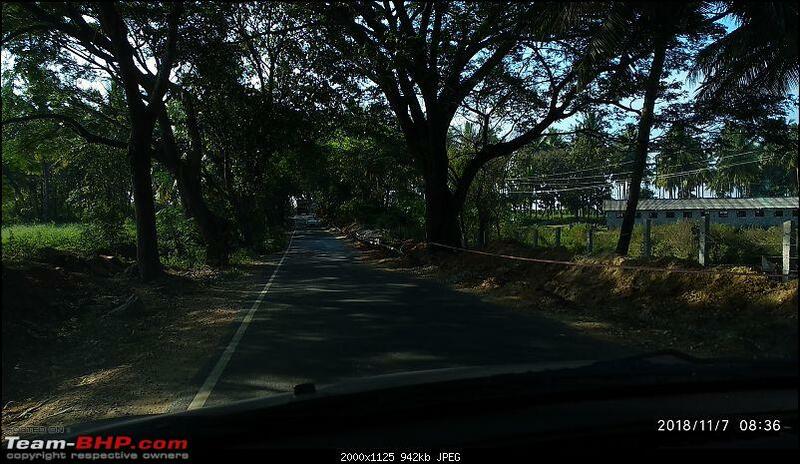 There was one deep pothole on a super-smooth curvy stretch before Gudalur which caught me by surprise. I could not stop or slow down enough and my suspension bottomed out while making a funny noise. I was quite concerned. I stopped the car near some village hutments and took a close look at the underbody as well as front suspension. On the exterior, nothing seemed to be damaged. I put on a easy smile on my face which soothed my nervous wife and daughter. 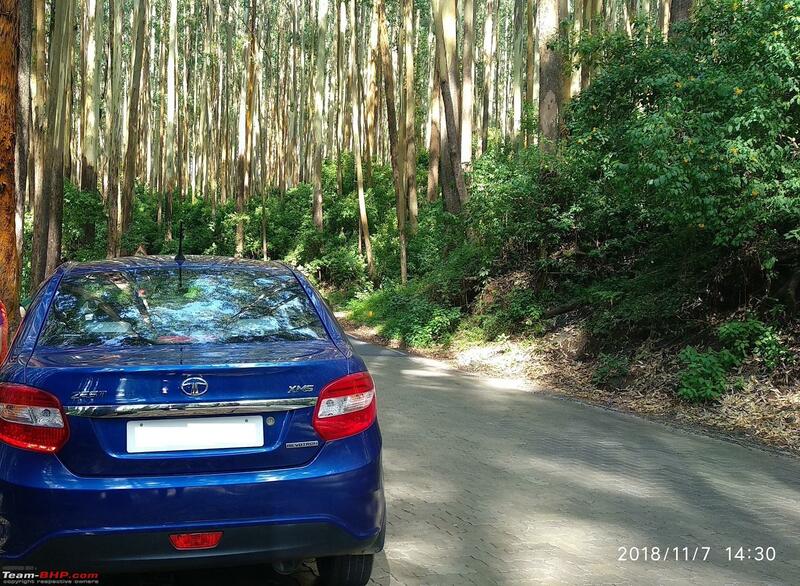 However, on the inside, I was praying that the car should atleast take us safely to Ooty where I can show it to a garage, if necessary. 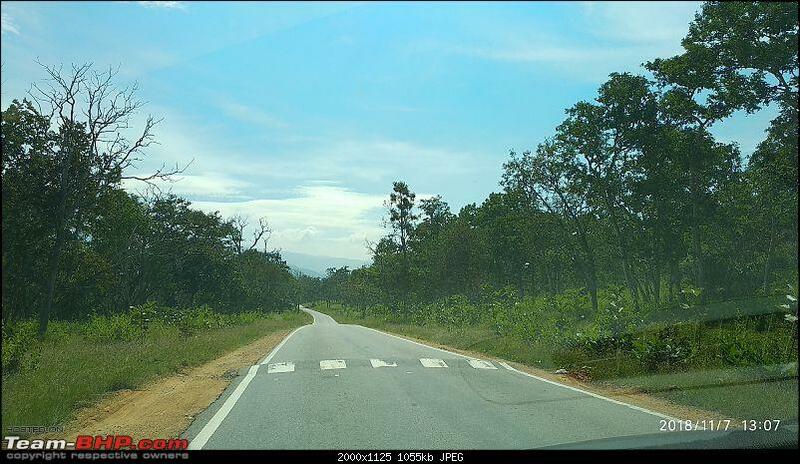 Our previous experience was still fresh in my wife's memory (read here (A quick getaway to Kabini dam, Nagarhole and Nugu reservoir)). We took a photo break near Needle Rock view Point. 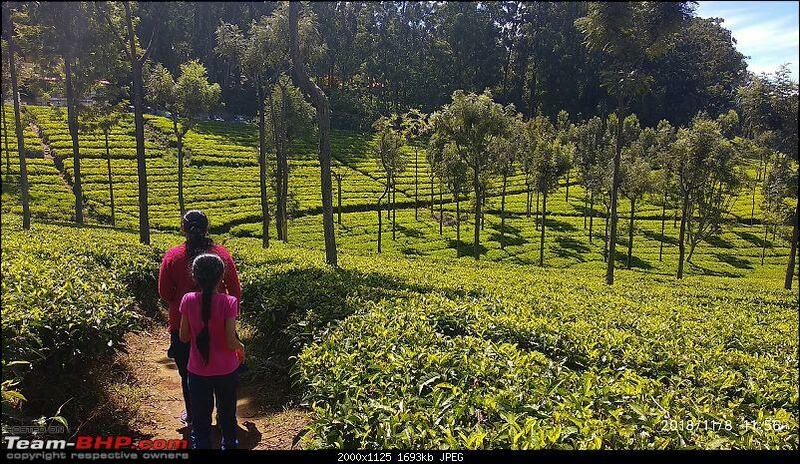 Wife and daughter had a great time enjoying the sights, taking selfies etc. I took another look at the underbody to see if any fluid was leaking. Negative. I felt little more relief and confidence, and joined my family for more photos and groupies. The weather had become considerably cool by now. 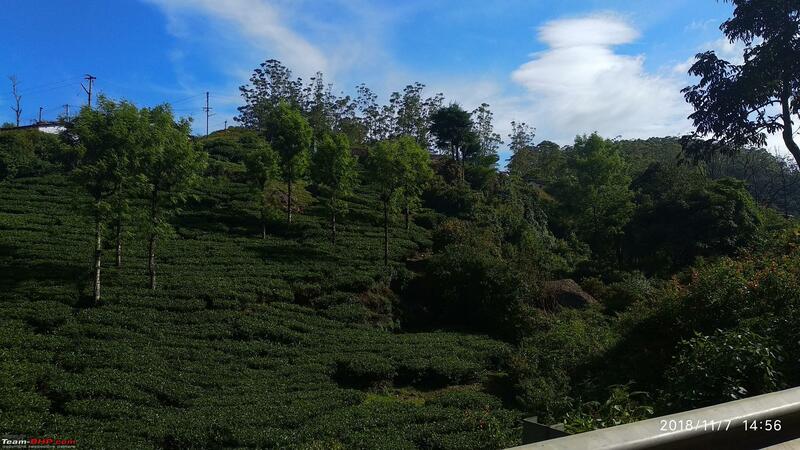 Soon, we drove past beautiful tea estates littered all along the way. 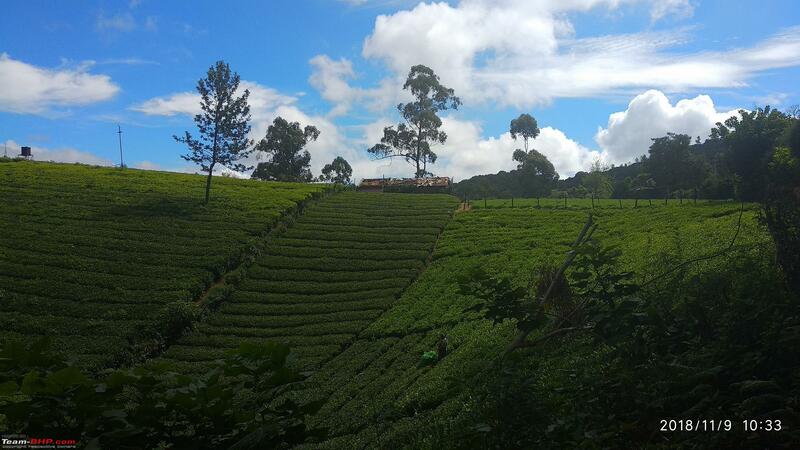 Natives of this place must be enjoying spectacular views everyday that we city-dwellers can only dream about. 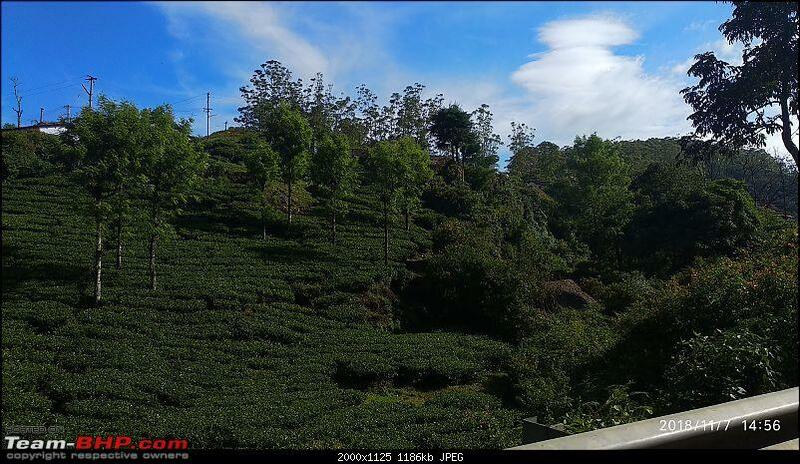 Our next stop was Pykara waterfalls followed by the 9th Mile Shooting point. 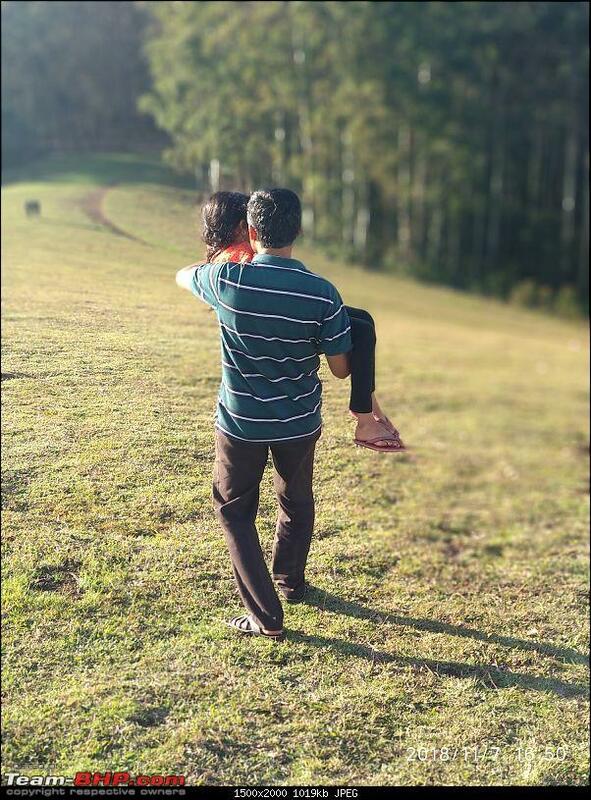 Our daughter enjoyed running carefree in the grassy slopes of the shooting point, while wifey and me reminisced on the completion of 10 years of our happy marriage. 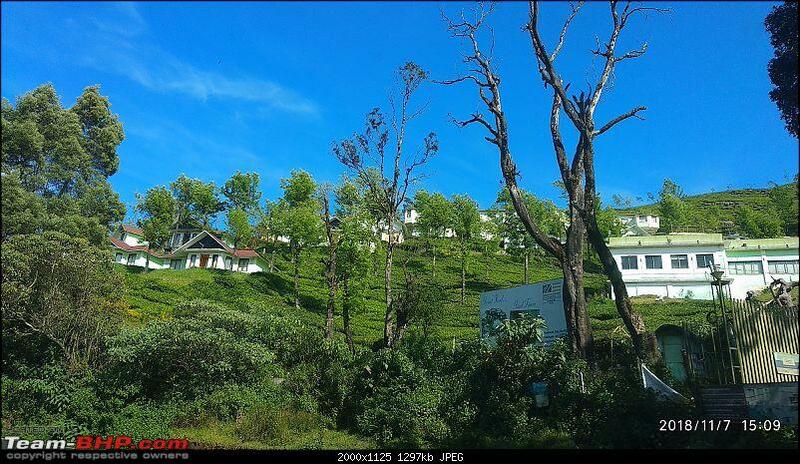 The spectacular views here brought us back memories of our honeymoon 10 years ago at Ranikhet (Uttarakhand). 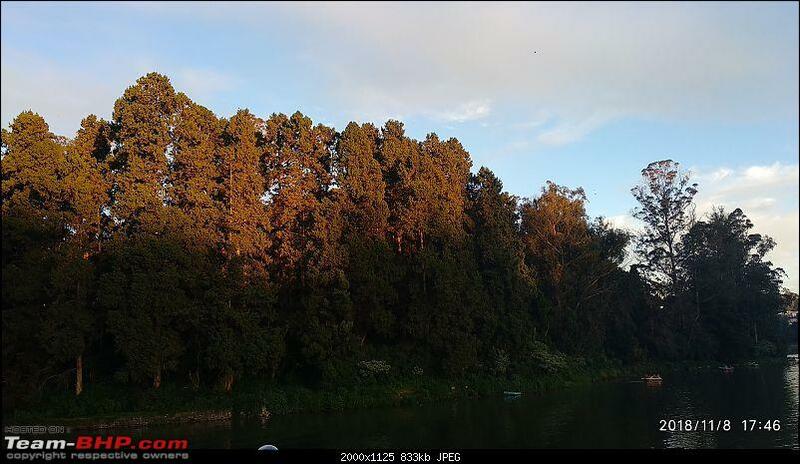 We reached Hotel Lake View by dusk and checked-in. 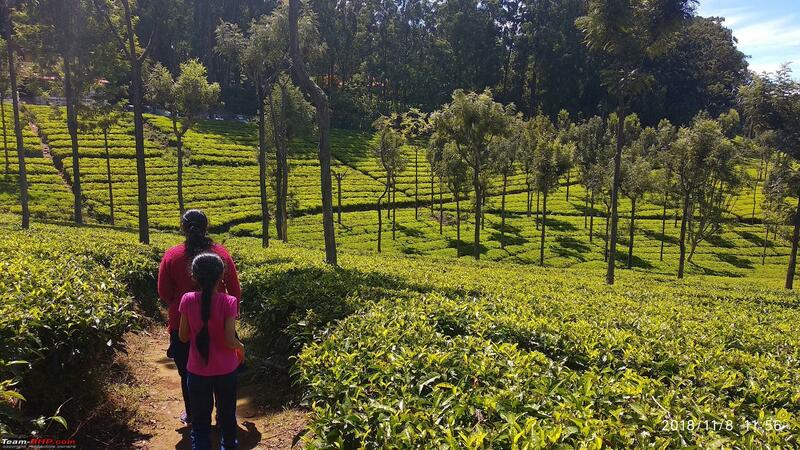 I revealed the surprise (Nilgiri Mountain train journey next morning to Coonoor) to my wife and kid. They were pretty excited. 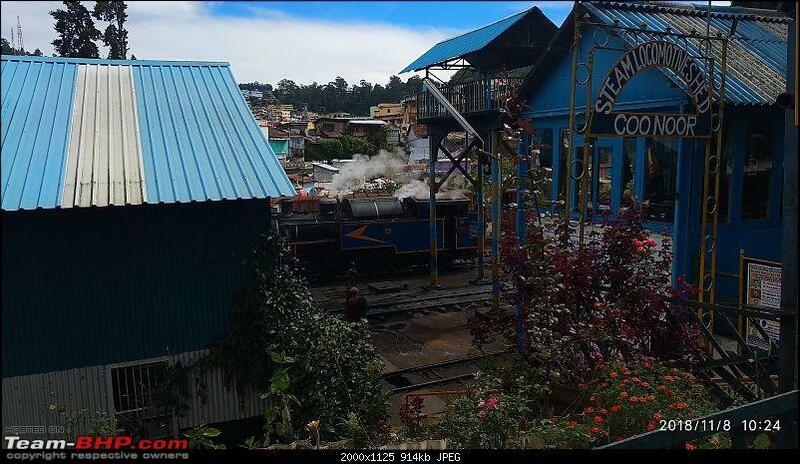 P.S: I had already booked my train tickets from Ooty to Coonoor when I saw a post in TBHP (perhaps by BHPian mpksuhas) - that the Ooty-Conoor section is short and driven by a diesel loco. 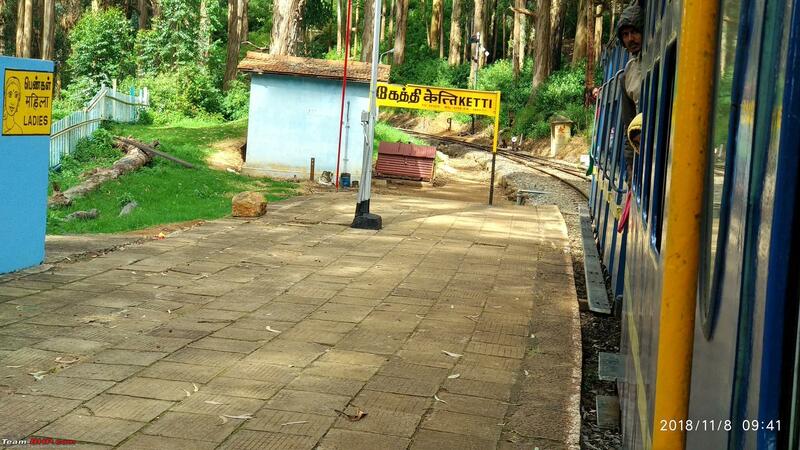 Coonoor-Mettupalayam section is the longer, more scenic section and pulled by a steam loco (World Heritage Site). This was a bummer. 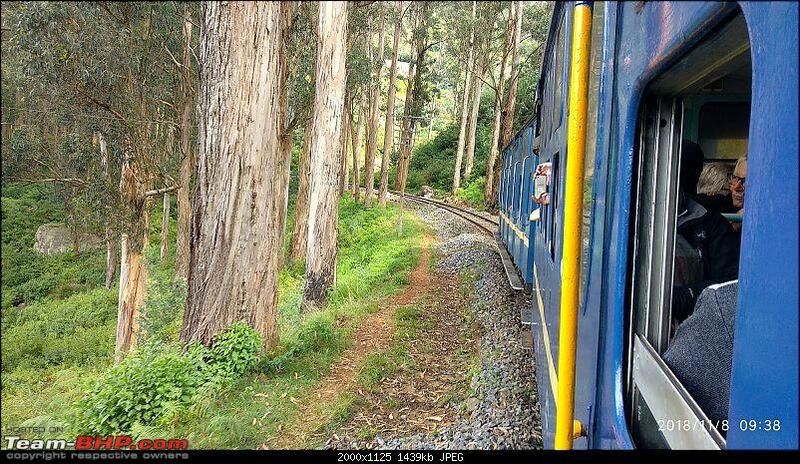 There are about 4 trains daily from Ooty to Coonoor. 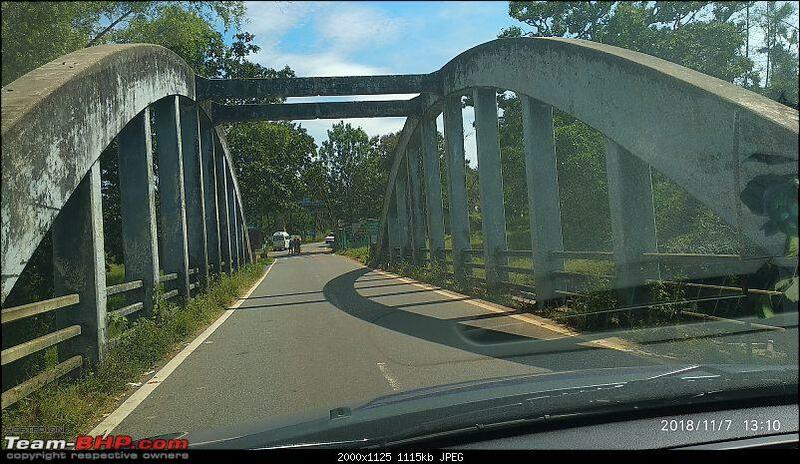 Only one of them goes all the way to Metupalaiyam - a travel time of 3.5 hours. 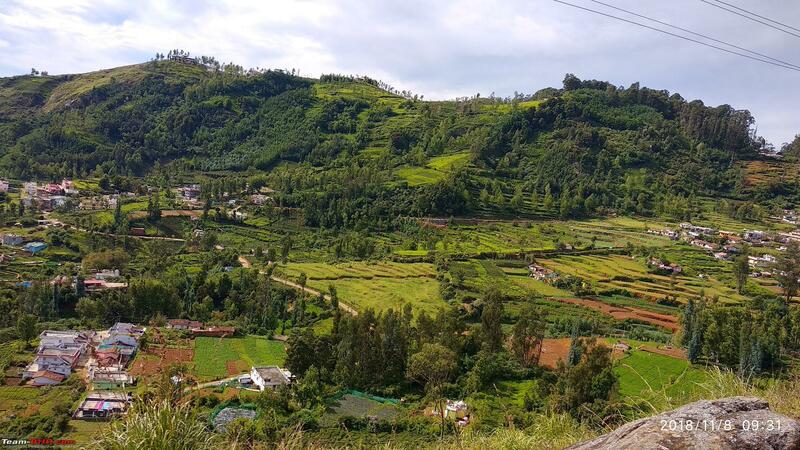 Anyway, I decided to do only Ooty-Coonoor segment this time. Last edited by srvm : 26th November 2018 at 19:52. 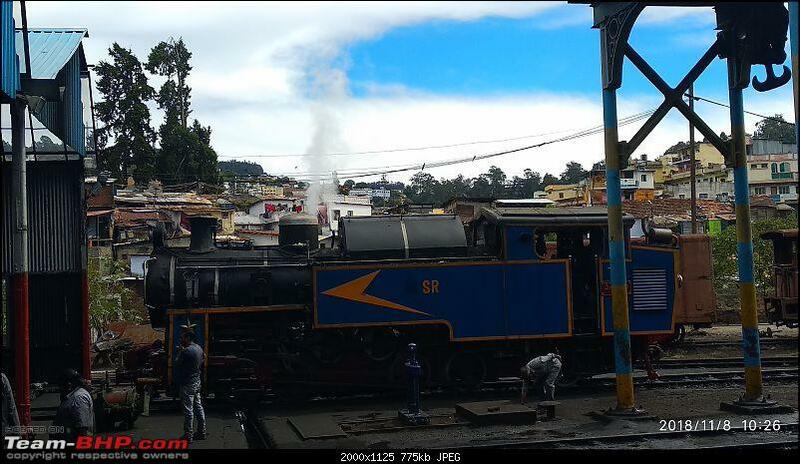 We reached Ooty Railway station after breakfast by 8.40am by taxi. 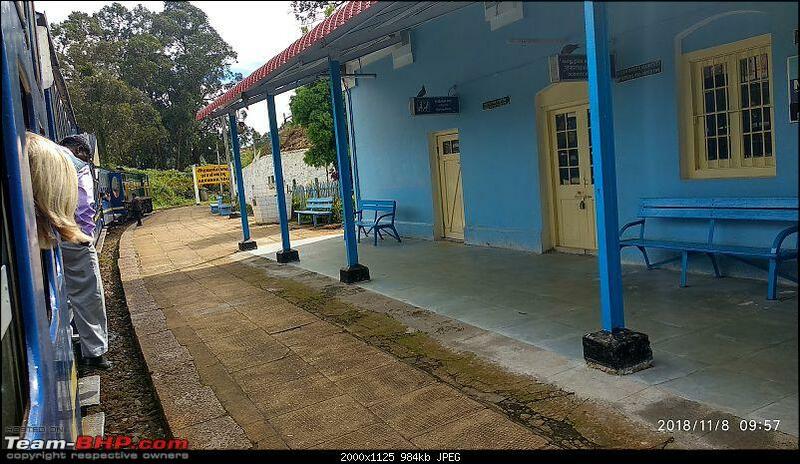 Train to Coonoor was scheduled at 9.15am. Our coach D1 was full of foreign tourists. The line at the ticket counter for limited unreserved tickets was quite long even by 8am. 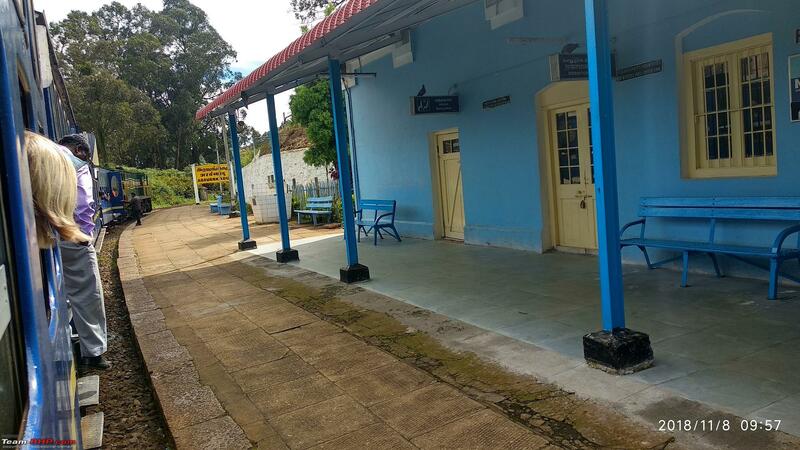 There is ample parking space in Ooty railway station for people who wish to drive to the station. 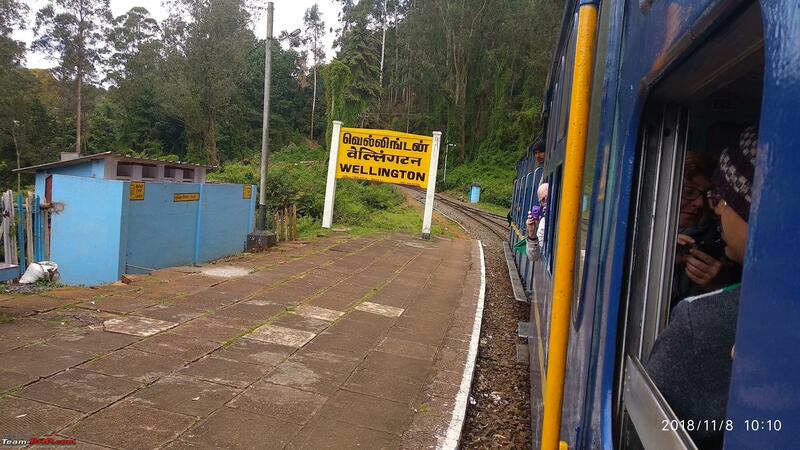 The train slowly chugged from Ooty via Ketti, Aravankadu, Wellington and finally reached Coonoor by 10.20am. It was a clear, fine morning and the views were awesome. 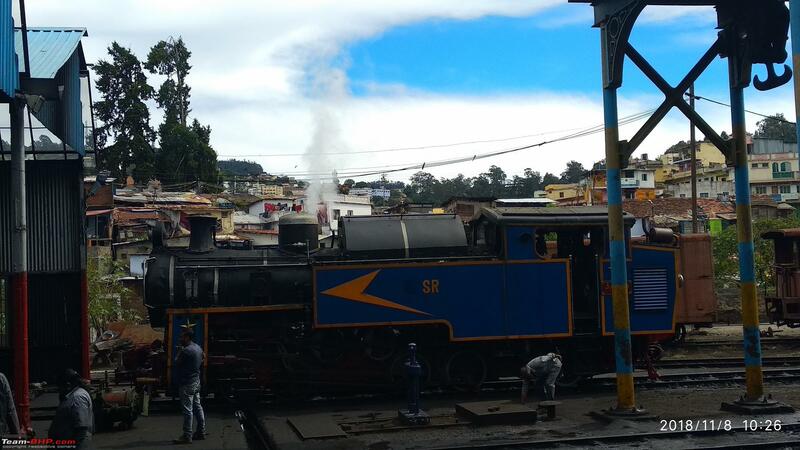 We spent some time clicking snaps of the Steam loco. 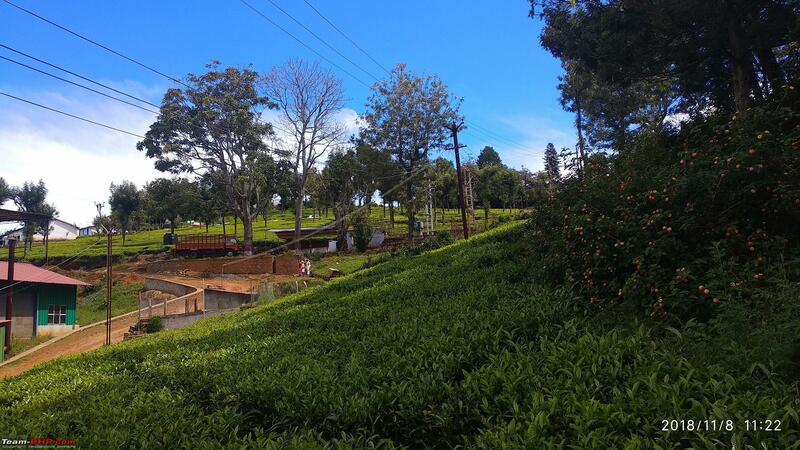 From Coonoor we took an Auto to Highfield Tea Estate. 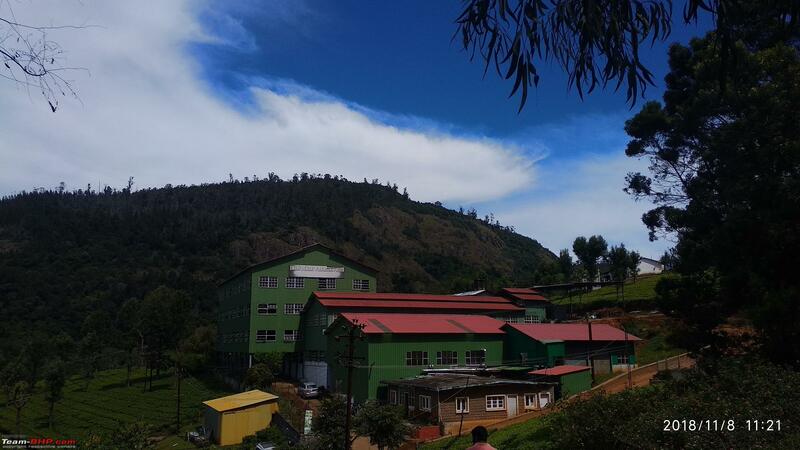 We spent some time in the Tea factory where we were explained the process of processing tea leaves to various grades of tea granules & dust. Later we did some shopping of tea, home made chocolates, spices etc at a shop inside the tea estate. 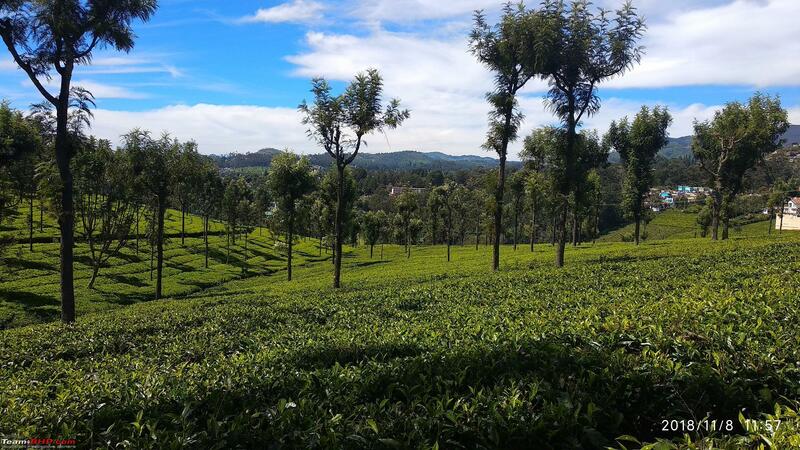 This was followed by a walk through the tea gardens. The weather was perfect: warm & sunny. Next we visited Sims Park. 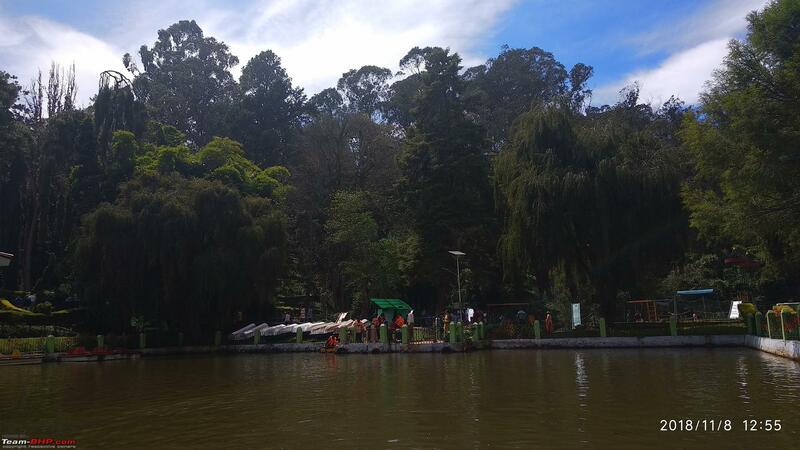 There is small lake inside the park for boating. 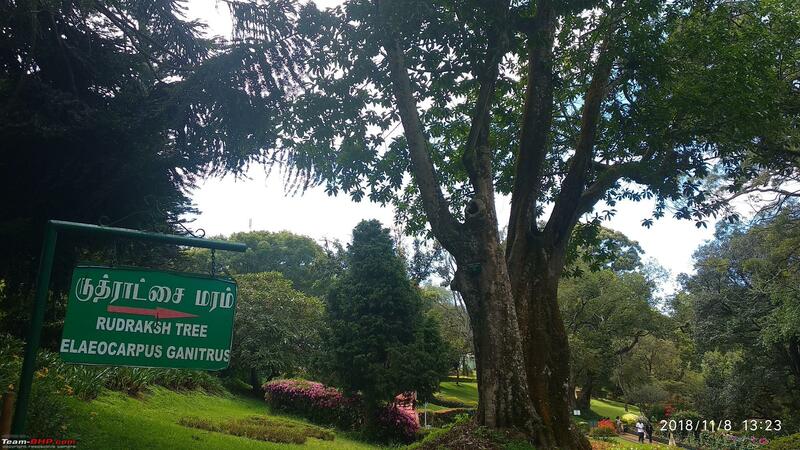 The park contains some rare trees such as Rudraksha tree and Elephant's Foot Tree. 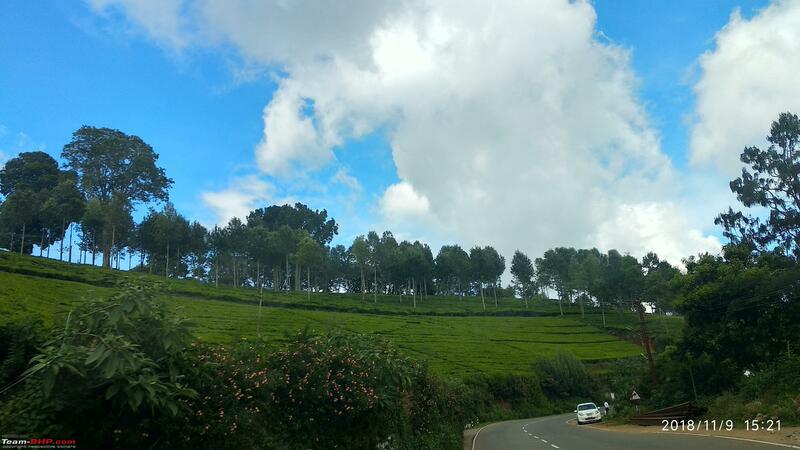 We took a bus to return to Ooty from Coonoor. 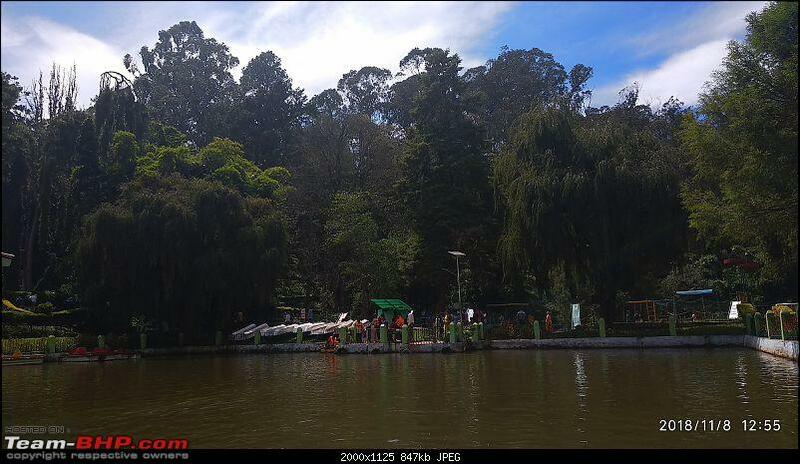 We reached our hotel and took our car to visit Ooty lake. 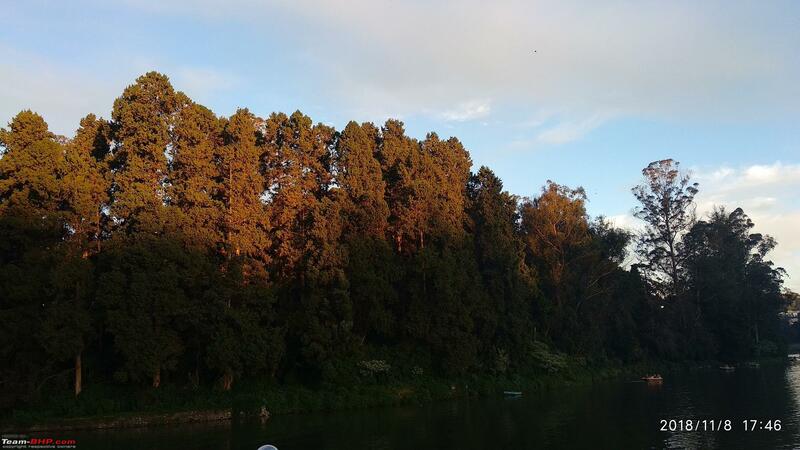 We spent the evening at the lake - boating, walking along, daughter playing kiddy-rides etc. Enjoyed spectacular sunset views at the lake. 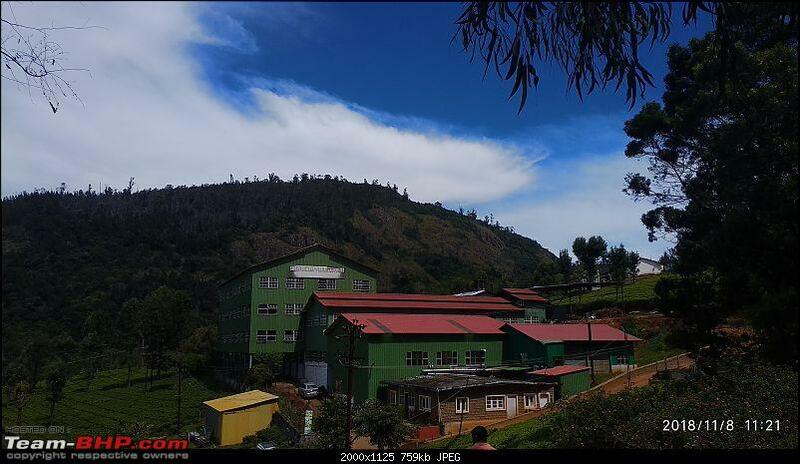 Our next stop was Commercial Road for Varkey (Ooty biscuits) shopping. Later, we had dinner at Nahar restaurant (A2B which is next to Nahar was super crowded). We returned to our hotel and hit the bed by 9.30pm. Last edited by srvm : 3rd December 2018 at 11:52. The plan for our last day was hatched only on the same morning. Wife was not keen on going to Botanical gardens. 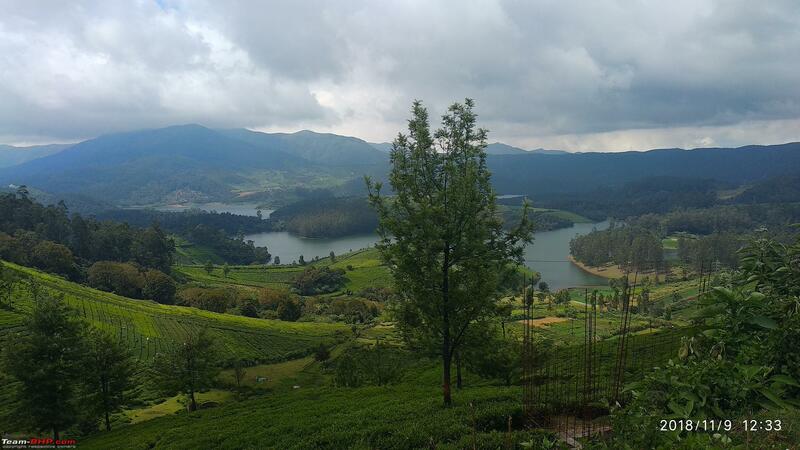 Instead she wanted to go to Avalanchi and Emerald lakes. I agreed. 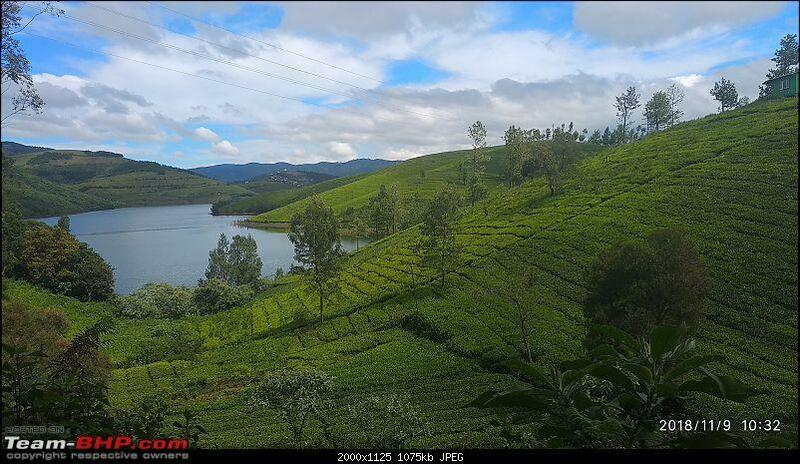 Our plan was to visit the 2 lakes and drive down to Mettupalayam via Kotagiri. 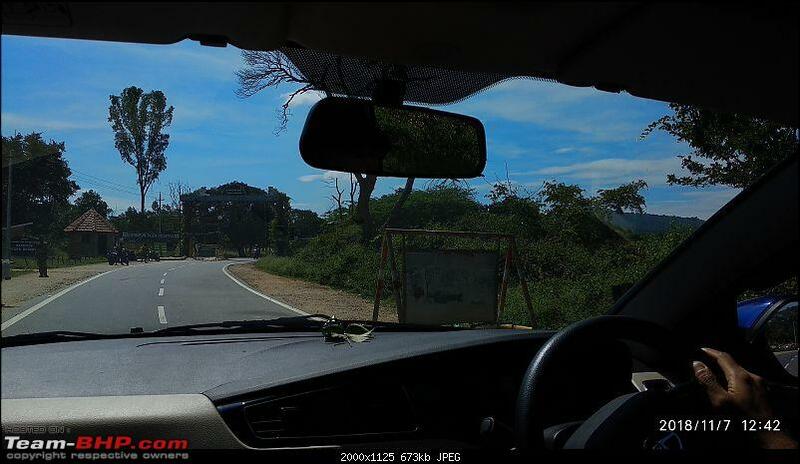 En-route, if time permitted, we thought of stopping at Doddabetta and Kodanadu view point. We started from Hotel Lakeview after a hot breakfast at around 9am. Our first stop was Avalanchi Lake. In hindsight, we should have perhaps started earlier. 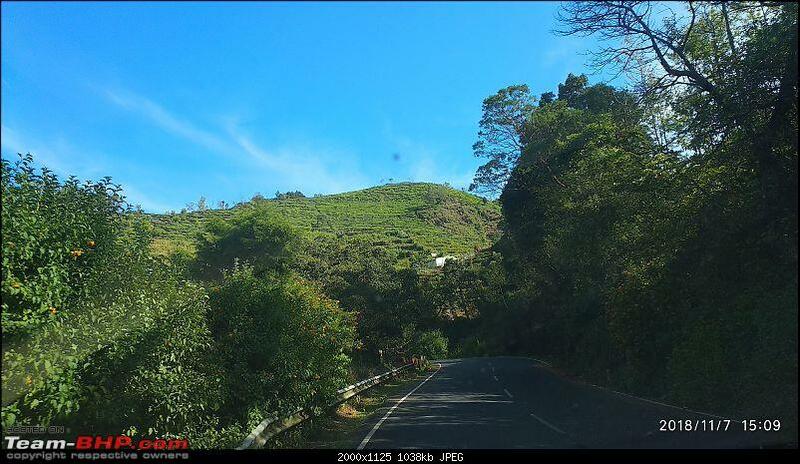 We drove along sedately (along Ooty-Kundah road), stopping at several picturesque view points, clicking several snaps & selfies. After Emerald village, one has to take a deviation from Kundah road (N11.312196, E76.623253) towards Avalanchi. 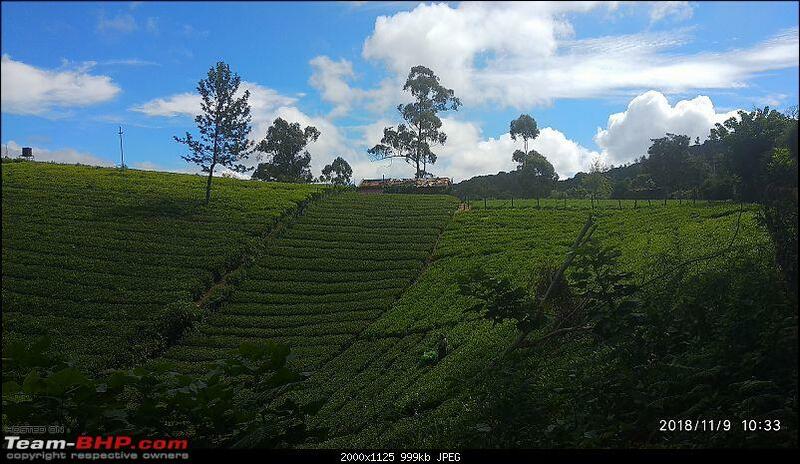 The roads are poor condition in this section but the views are awesome. 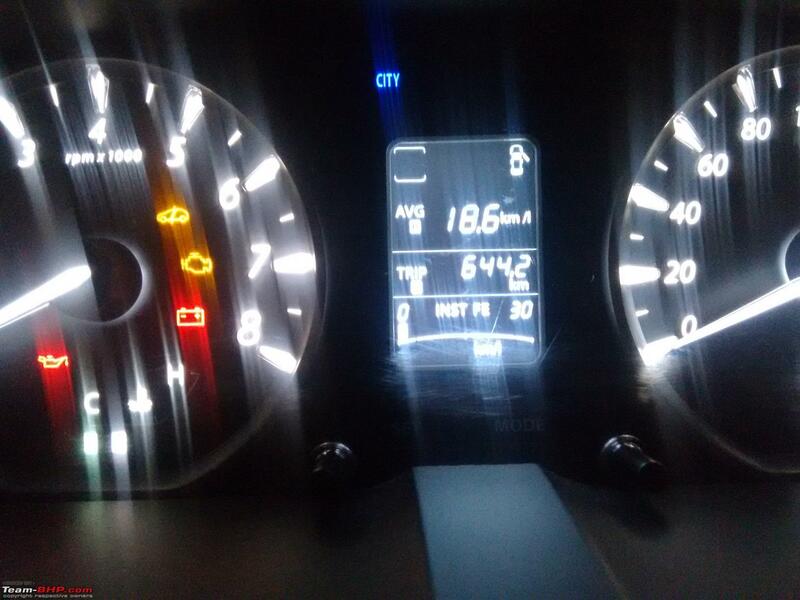 For the next 2-3 kms, I could drive only in 1st and 2nd gear. 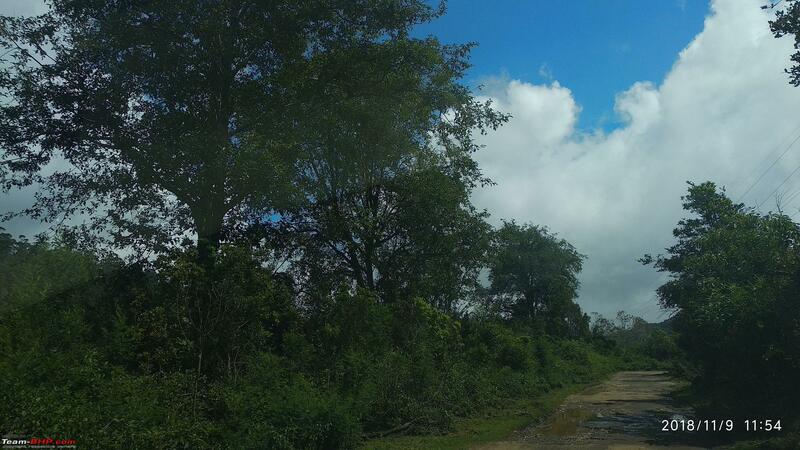 Then we reached the forest check post where one has to enter vehicle and personal details to proceed. 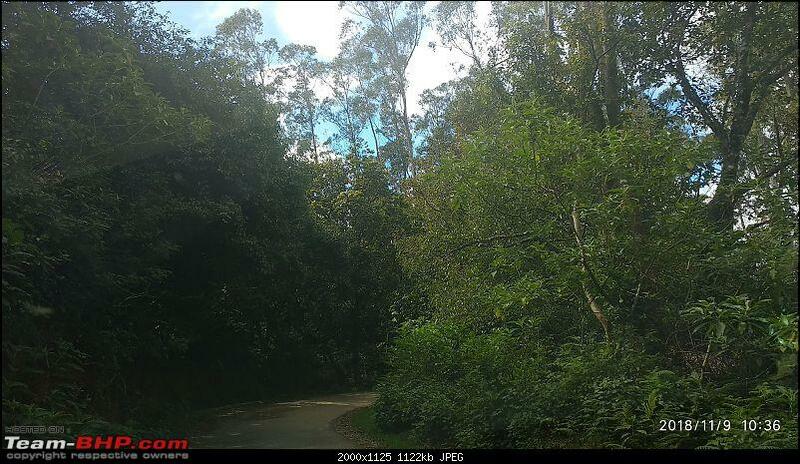 The guard warned us that the roads get worse from here. The next 3 kms was horrible. I could not get past 1st gear. However, the suspension of Zest made sure we did not feel much discomfort. In some section, the tires struggled for traction. Also, very few vehicles on either side was plying. We reached Avalanchi at about 11am. We were relieved to see some inhabitation. 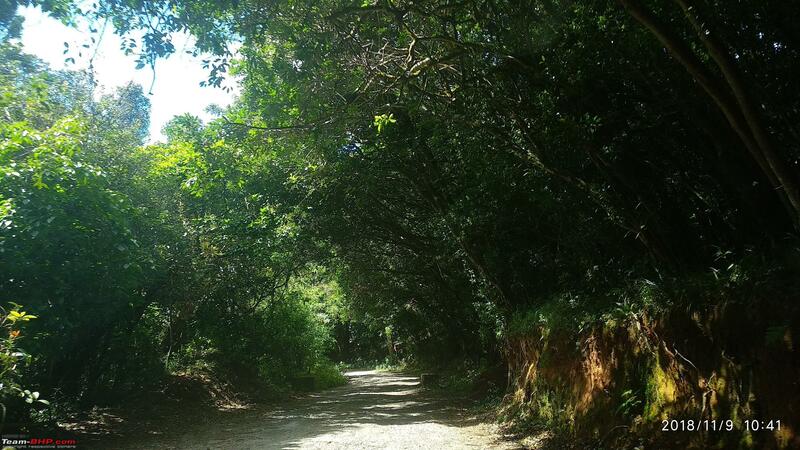 Forest bungalow is located at N11.300395, E76.590769. It has ample parking space. It has a small canteen and restrooms. When we reached, there was only one other car in the parking lot. Soon, several cars, TT and mini-buses reached the lake. Forest Department runs a jeep safari from here to Upper Bhavani reservoir. 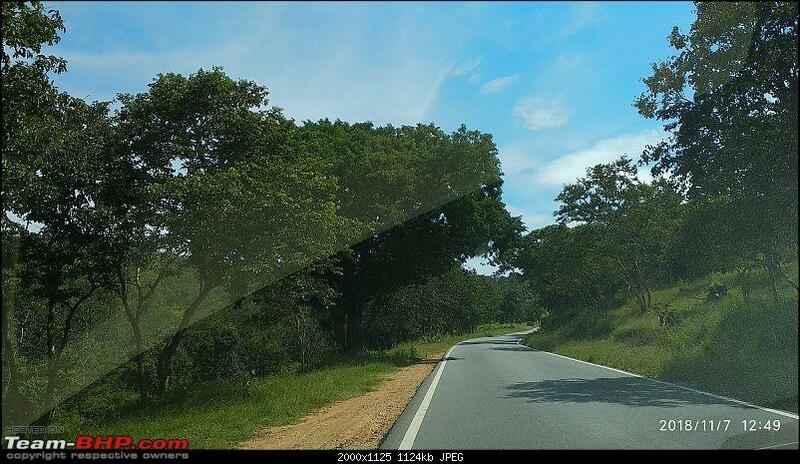 It takes 2-3 hours for the safari and is supposed to provide breathtaking views. 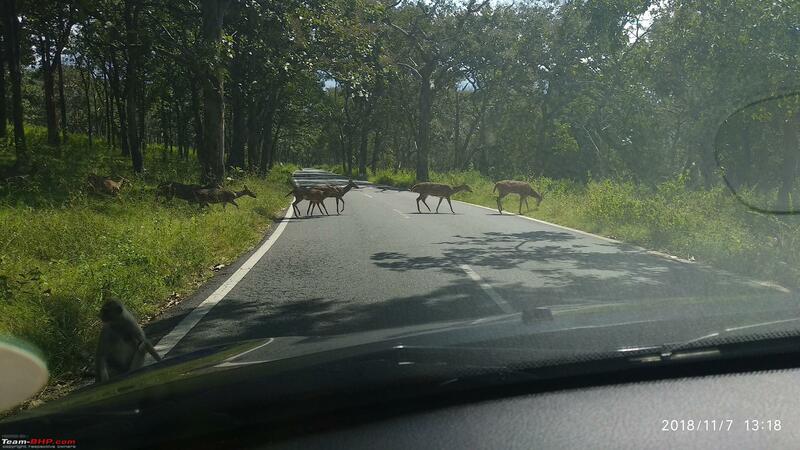 Due to shortage of time, we decided to skip the safari. Nevertheless, my daughter was having a blast of a time playing around the trees. We started back from Avalanchi at about 11.40am. 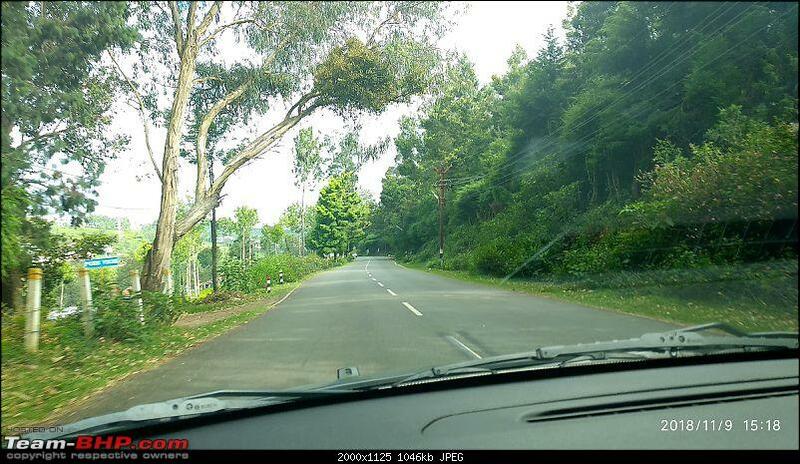 The 6km ride to Ooty-Kundah road took us about 40 minutes, mostly in 1st gear. 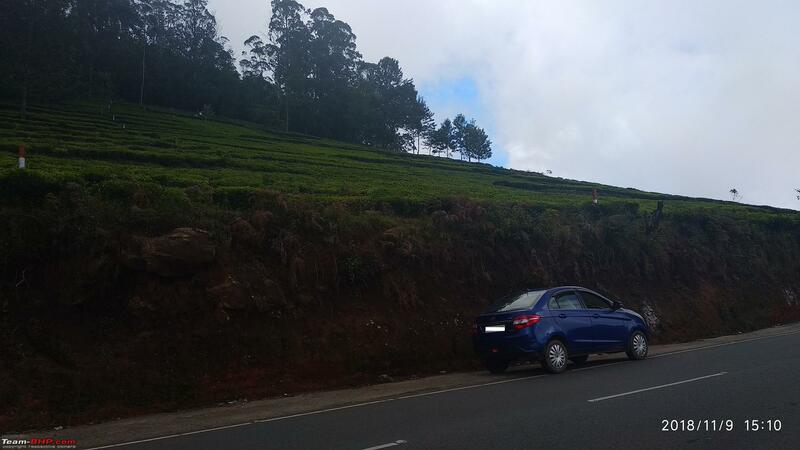 At a couple of steep incline sections with poor road conditions, the car struggled to climb. Even stalled a few times. This is one of the weak-points of the Zest-Petrol. The turbocharged engine has 140Nm torque on paper but the car's kerb weight (1130 kg unladen) clearly makes it struggle on steep inclines, particularly from dead-stop. 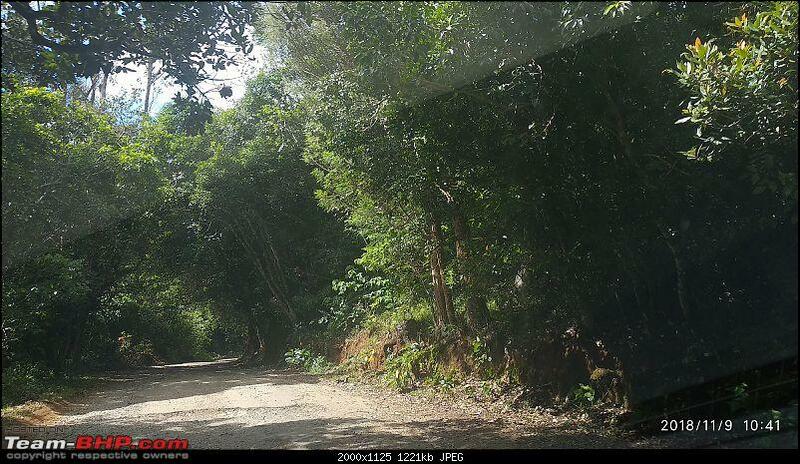 It did not help that my boot was loaded to brim with luggage and taxi drivers coming down the slope did not stop or give way on the narrow, broken road. 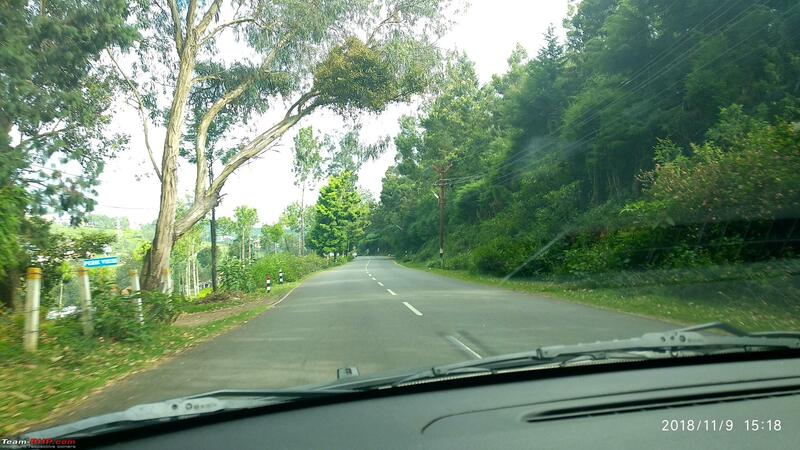 Soon we were on the road to Ooty. My daughter fell asleep in the rear seat. We stopped at a couple of beautiful locations to stretch our legs. 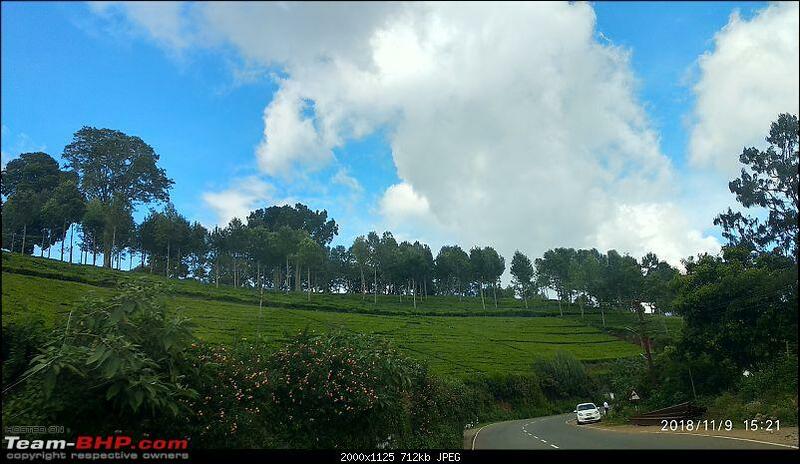 We had lunch at Ooty and started our descent from the Nilgiri hills via Kotagiri. 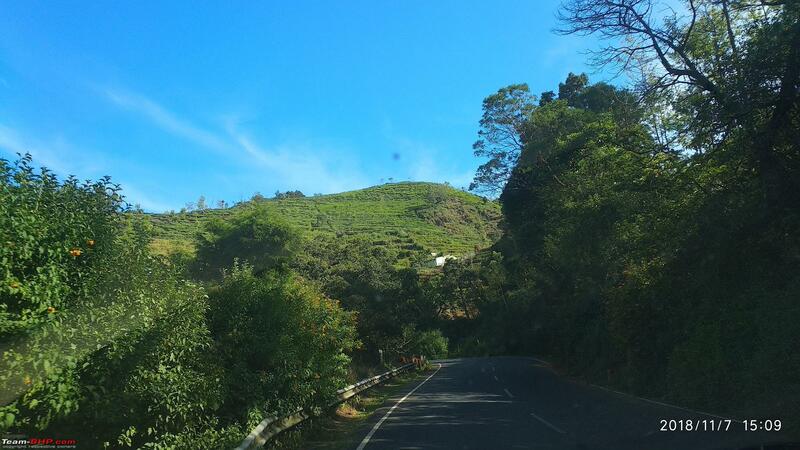 The Ooty-Kotagiri-Mettupalayam route is very scenic and roads are amazing smooth. Traffic is also very sparse but many local drivers (TN43 & TN-38 registered) were reckless at blind turns. 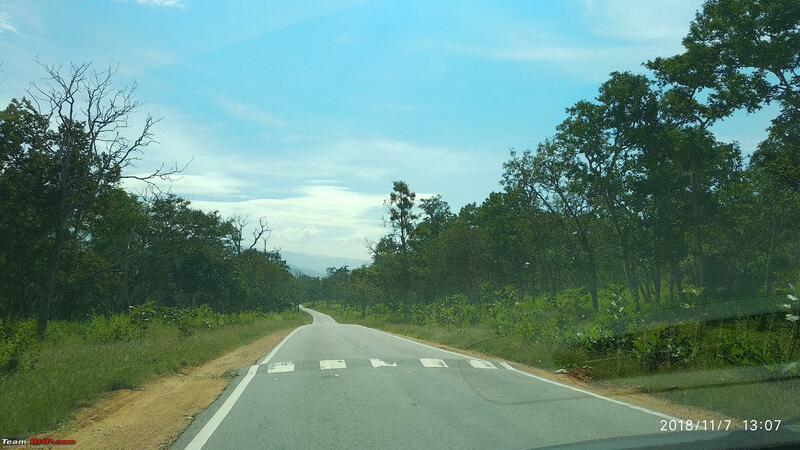 I also spotted a Tata test mule (Harrier or X451) in these roads. 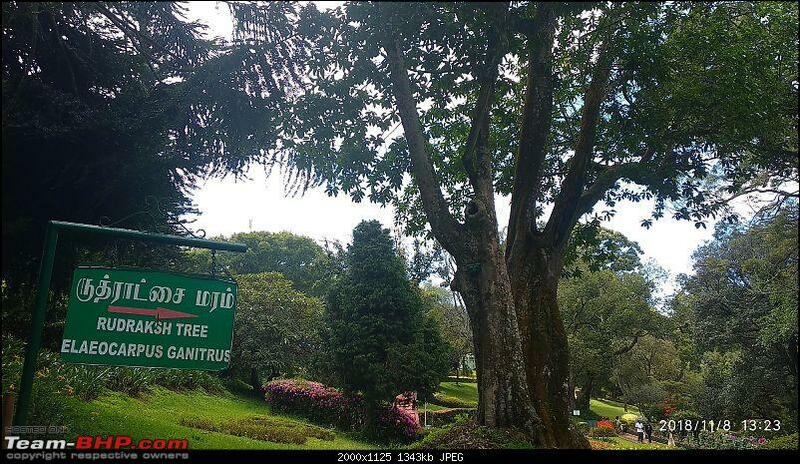 After Kotagiri, there are lots of red-colored signboards in local language (Tamil) asking drivers to drive only in 2nd gear due to the steep descent. 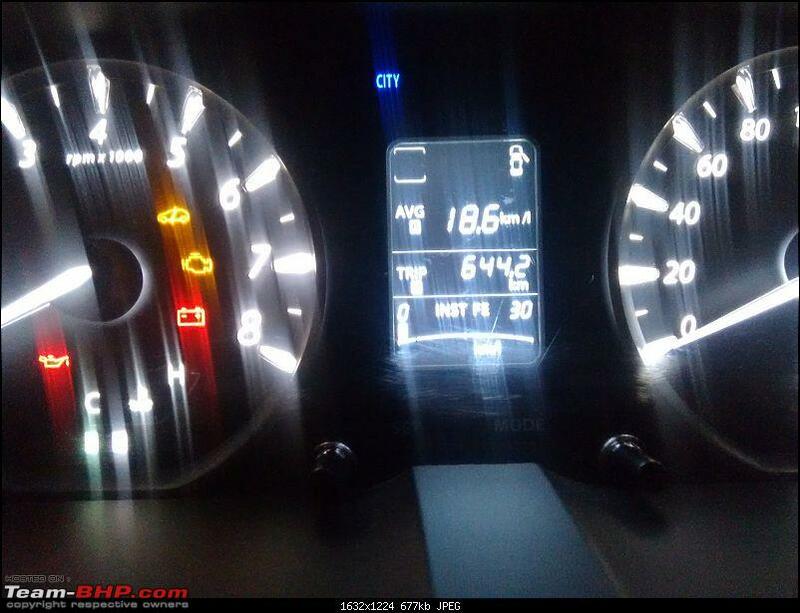 Without A-pedal input, my car easily hit 40-45kmph in 2nd gear. All the while, I saw local drivers zipping past at much higher speeds even at blind turns. 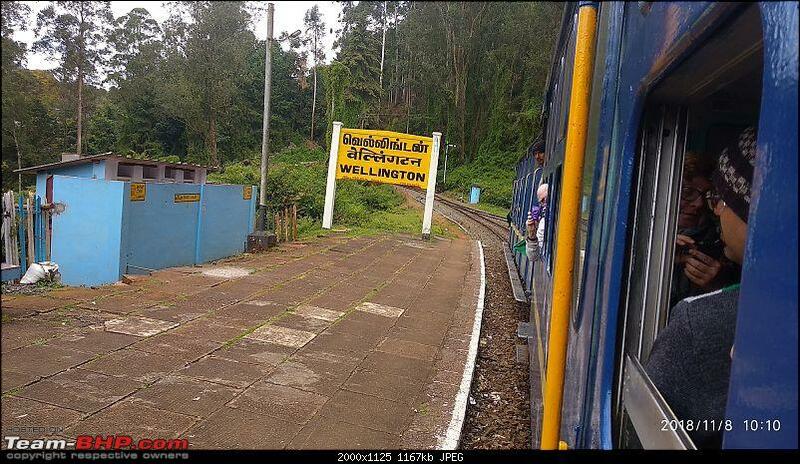 Being my first trip in this part of the country, I wanted to be in Avinashi or at least Mettupalayam by dusk. 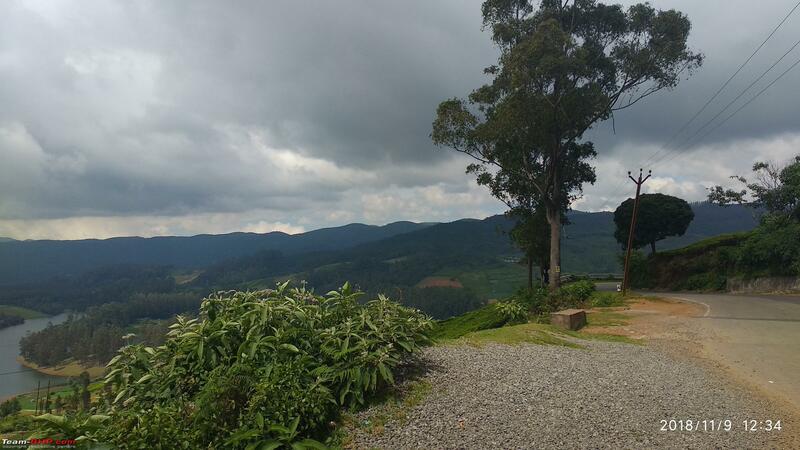 Hence, we had to skip Doddabetta and Kodanadu view point in this trip. We crossed Mettupalayam by 5pm and hit NH544 near Avinashi bypass by 6pm. After dinner at A2B near Veerapandi, we reached Hotel Green Ridge on Salem bypass by 9.15pm. The hotel room was clean and well-equipped. There is a large car parking space behind the hotel. Next morning, we left Salem at 7am after fuel topup. Had sumptuous breakfast at Ramas Cafe located in Attur bypass. After an uneventful journey on the NH-79 and NH-38 we reached Chennai by 1.30pm well in time to get ready for the wedding reception that evening. Last edited by srvm : 3rd December 2018 at 15:59. Nice report, thanks for sharing. 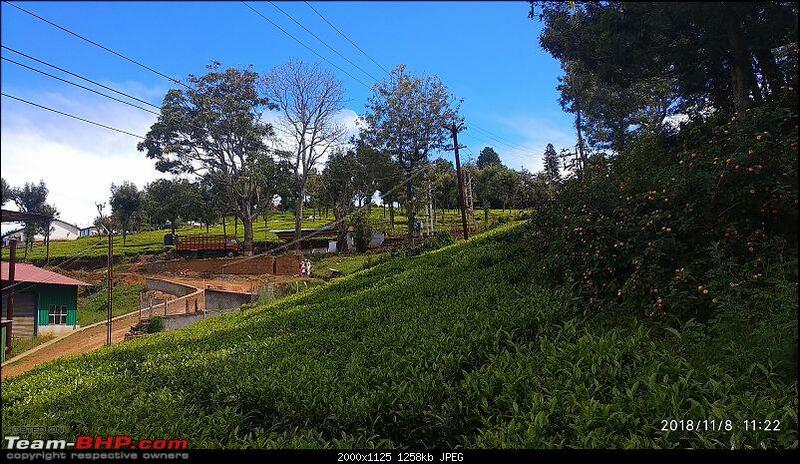 Having spent part of my childhood in Ooty, any mention or report on Ooty and its surroundings brings forth a wave of nostalgia and memories which helps relax the mind. 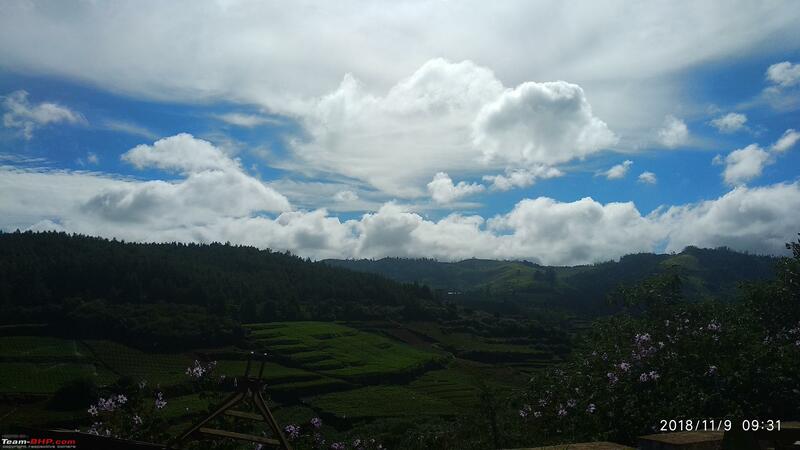 I also traveled to Ooty last month with family. 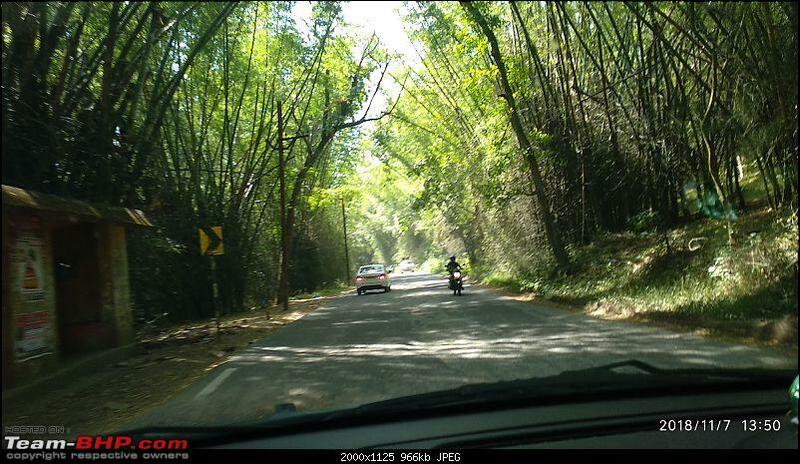 While returning, the police didn't allow us to take the 36 hairpin turn road. 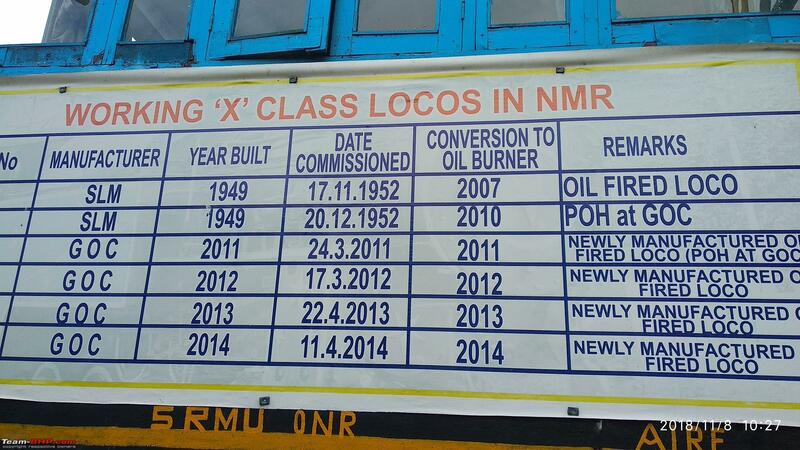 This extended the journey by atleast 1.5 hours (about 35 kms of ghat section added). 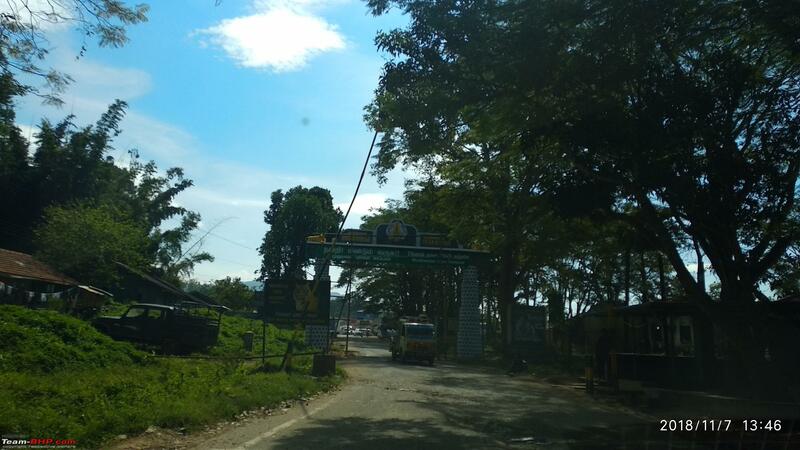 When I tried doing an inquiry, they just kept on harping upon the fact that I need to take the alternate road. Maybe it was a language issue or they were least interested in answering me. Did you face this issue? 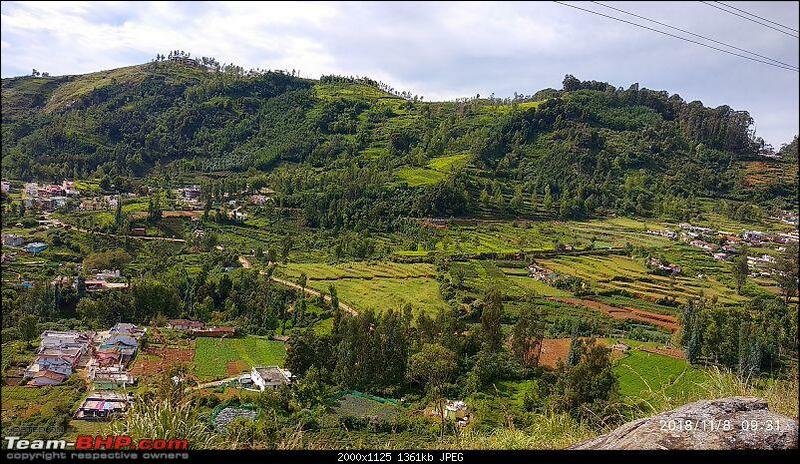 Very nicely written travelogue of Ooty. 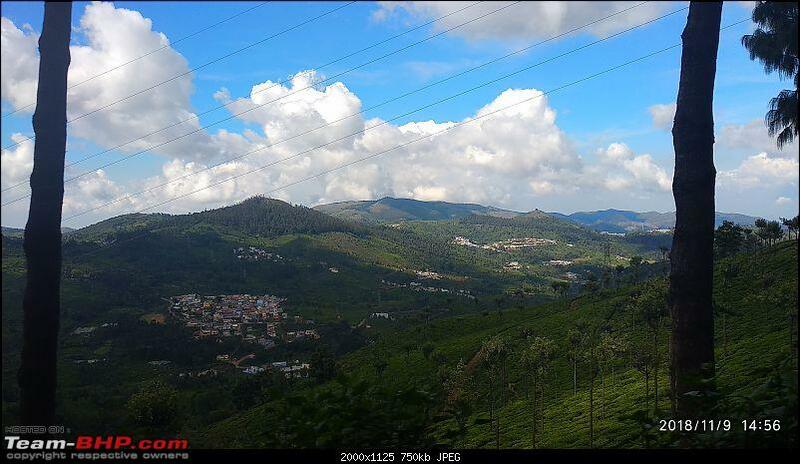 Memories of out Ooty trip of last year renewed! 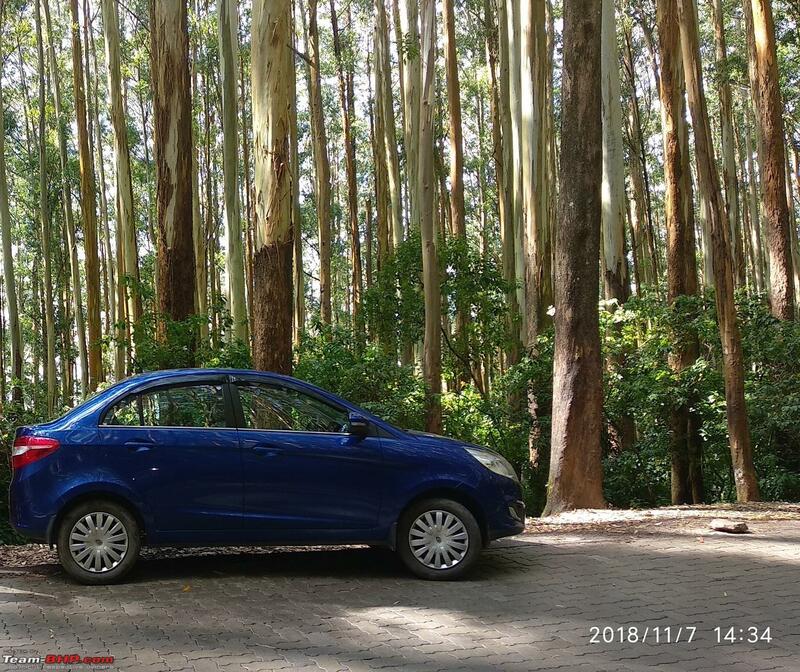 Had the opportunity to drive to Ooty (Hyundai Xcent) and boy, we did enjoy the wonderful ghat roads with steep inclines and hair pin bends. 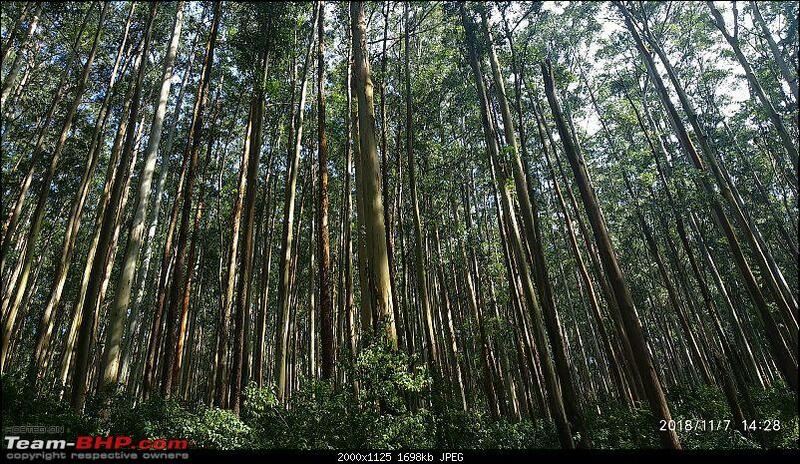 Came back via the route with Eucalyptus plantations which was again quite scenic. 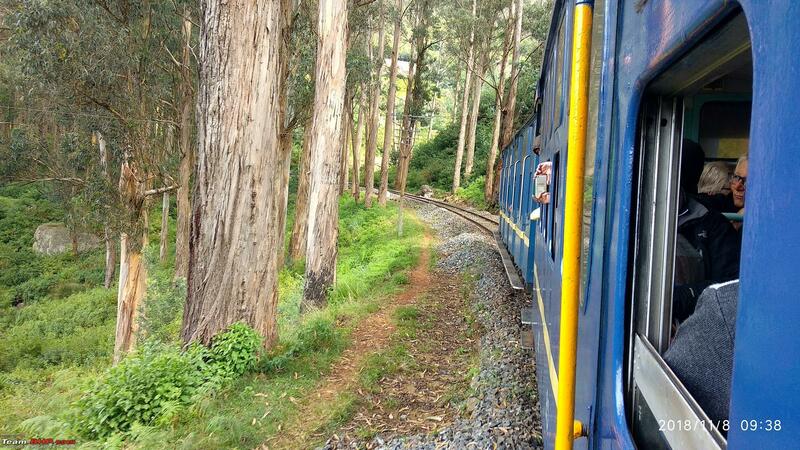 Also had the opportunity to take a ride from Conoor to Ooty in the Nilgiri Mountain Railways toy train. Thanks for sharing the script & pictures of that wonderful journey. 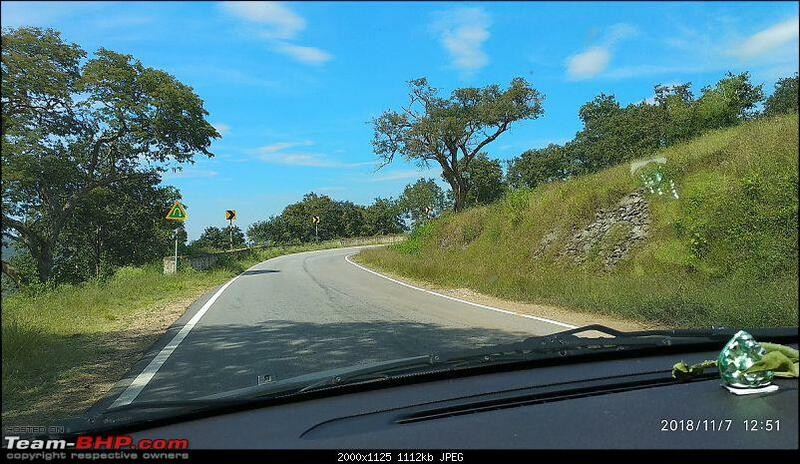 The 36 hairpin bend was the place where my car suffered the most - not enough torque to pull through with 4 adults, a kid and full luggage in my Fiesta Classic. You've managed to take much nicer clicks. I wasn't able to get to the train ride because of over bookings during the summer vacations and also because of the 2 days of rains out of the 3 days we were staying in Ooty. Lovely place. Was ~7 degree centigrade on April 30 and we had to keep the fireplace in the room burning the entire night. Was almost like a winter vacation. 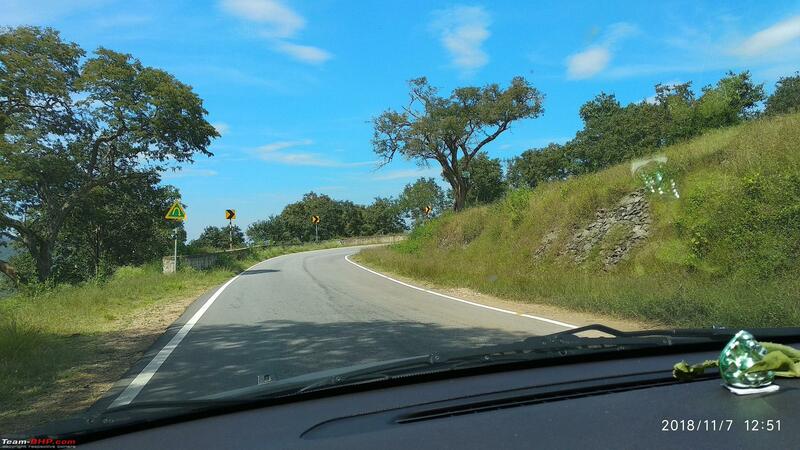 I wasn't stopped from using the 36 hairpin on my way back. Took the same route. I've been planning to key down my travelogue from that trip but haven't really got that much time to do so. But it was a lovely drive that brings back lovely memories. 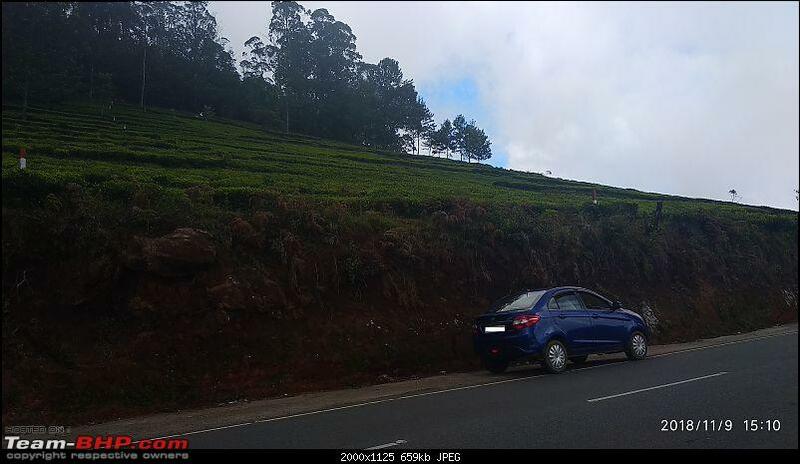 Due to recent accidents on the Ooty-Masinagudi ghat section, only local (TN-43) vehicles are allowed to descend the ghat section to Masinagudi. 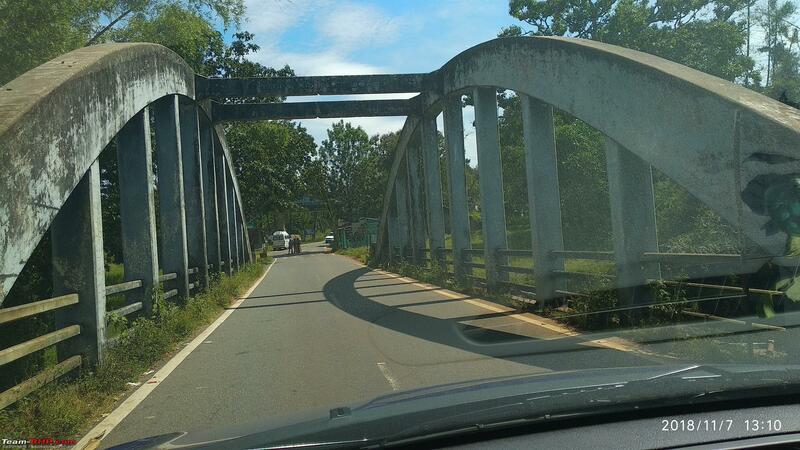 Everyone else get redirected to Guddalore-Theppakkadu section. 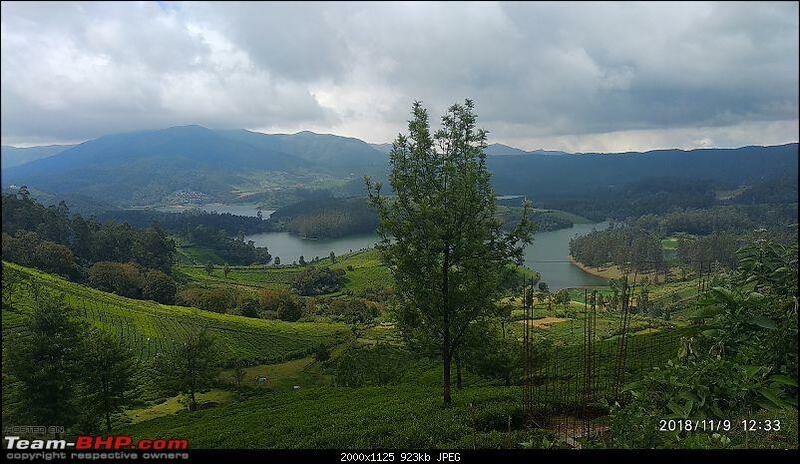 On the way to Avalanchi, you would have seen Emerald Lake, did you detour to get closer ? That place and surrounding are nice too. On an earlier trip we had stayed at Red Hill resort that is nearby to Emerald Lake and loved the vistas. Ah! Got it. With all due respect to local drivers, this is just illogical. How can you block a road like this? 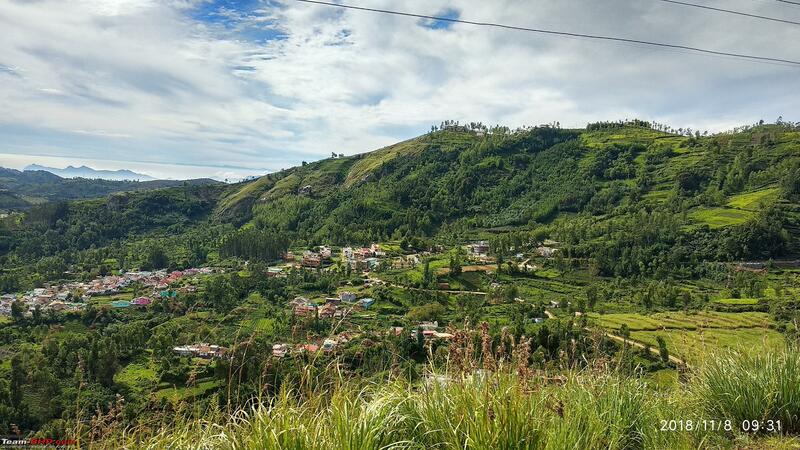 I have been to Ooty and back from the same road atleast 5 times before. I don’t think blocking a road is the right way to curbe accidents. 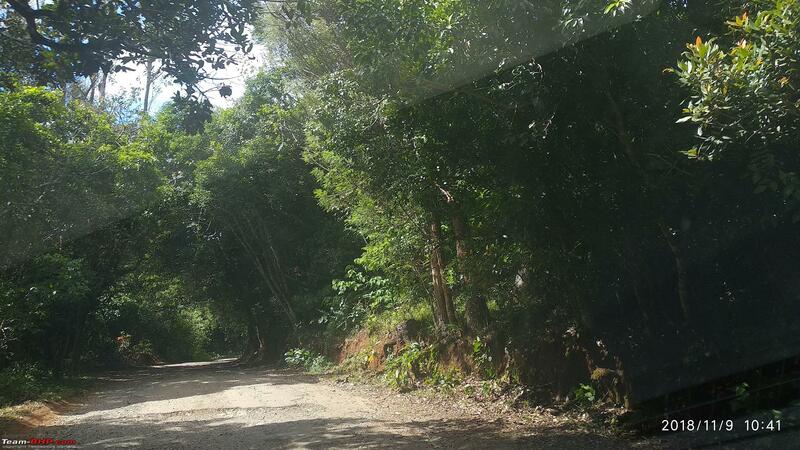 It’s just a challenging terrain but there is nothing wrong with the road. As far as I’ve read in the newspapers, those accidents were a function of incapable drivers or badly maintained vehicles (depleted brake shoes in most cases). 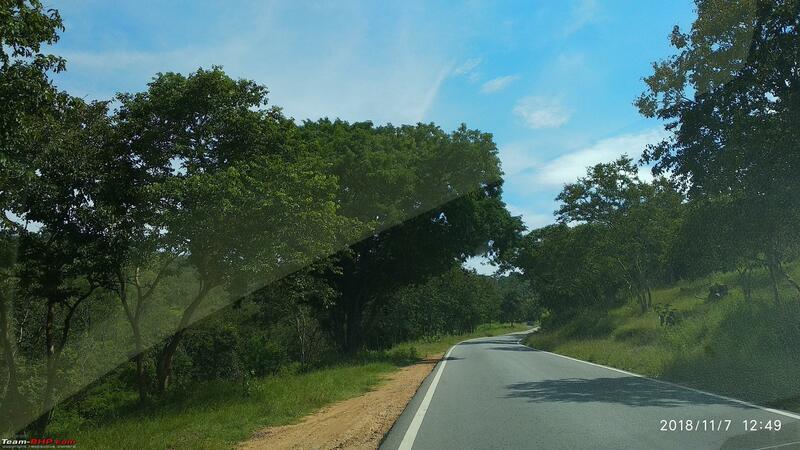 It’s my (driver’s) prerogative to select the road. To be honest, it’s one of the most fun filled part of the journey, descending through that ghat. It’s a pity if that’s the best solution they can come up with. 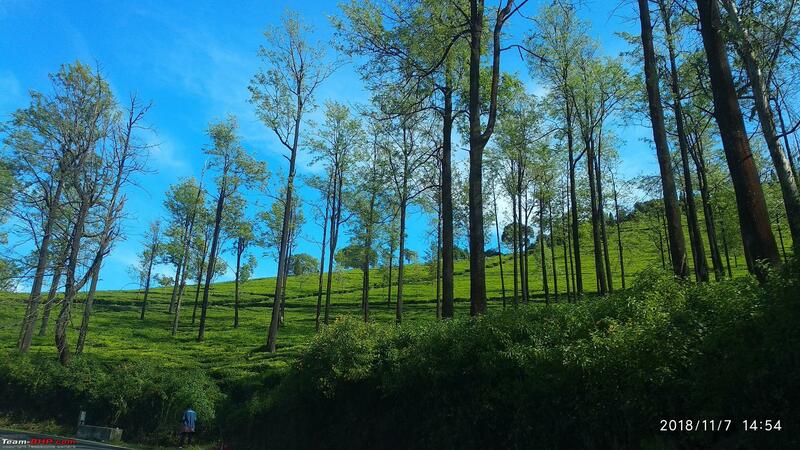 A very nicely written travelogue with nice pictures to complement the writeup. 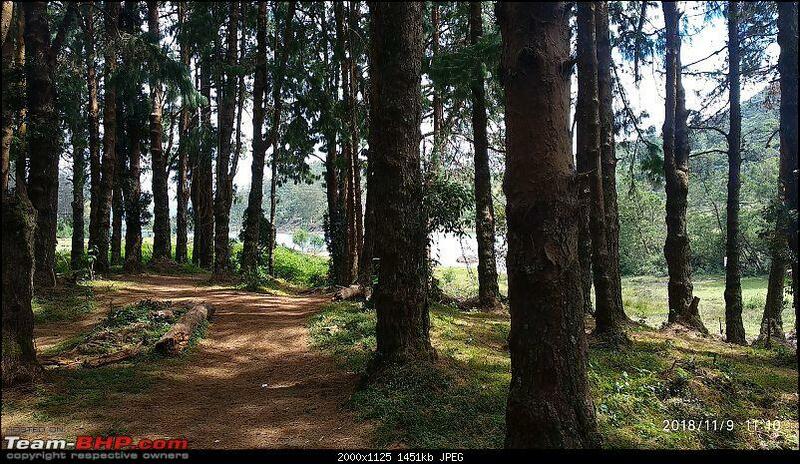 I myself have never been to Ooty before. 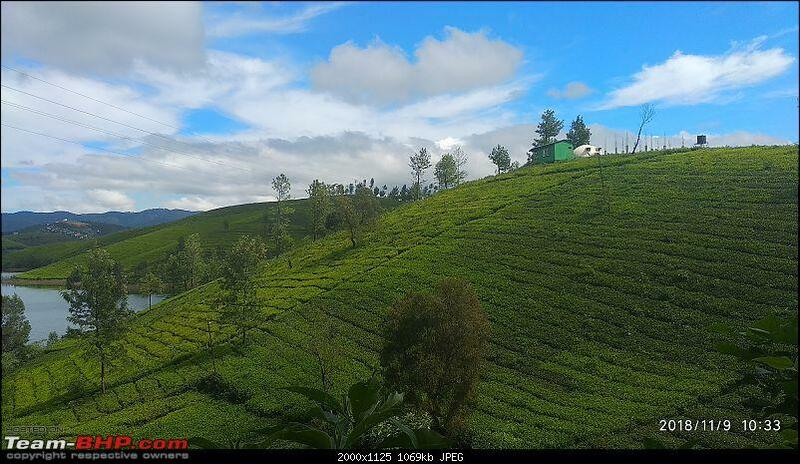 I have been to various other hill stations like Munnar, Chikmagalur and Coorg before but never got an opportunity to go to Ooty. 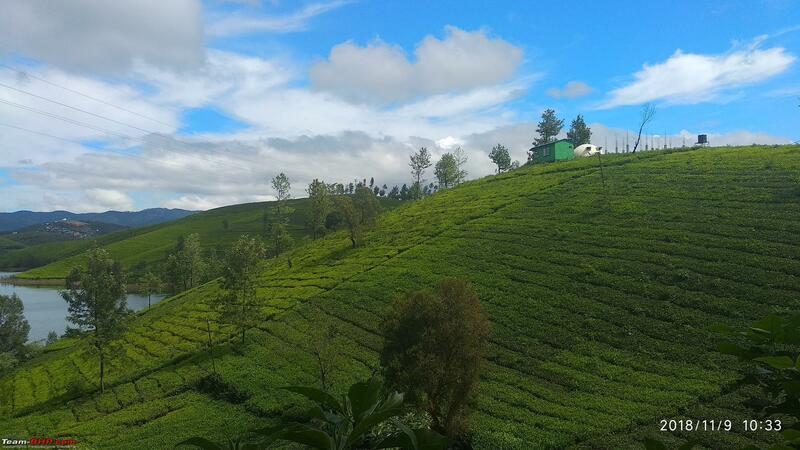 The charm with all the hill stations is that you get to spend time away from the hustle and bustle of the city and get a much deserved break. 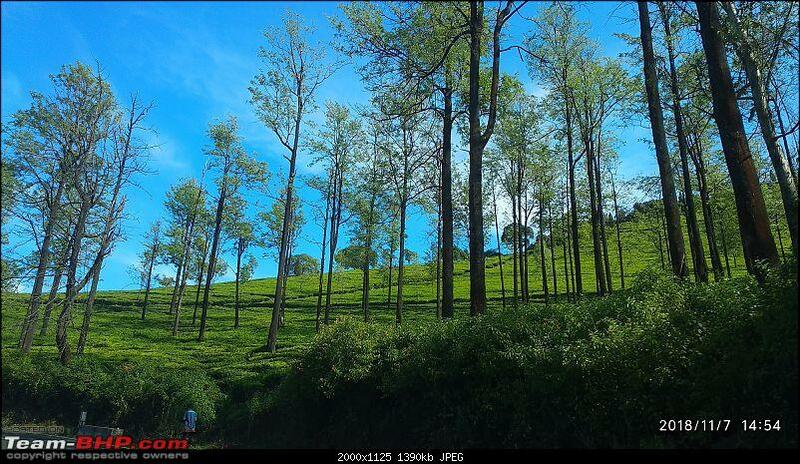 I will surely visit Ooty in the near future. 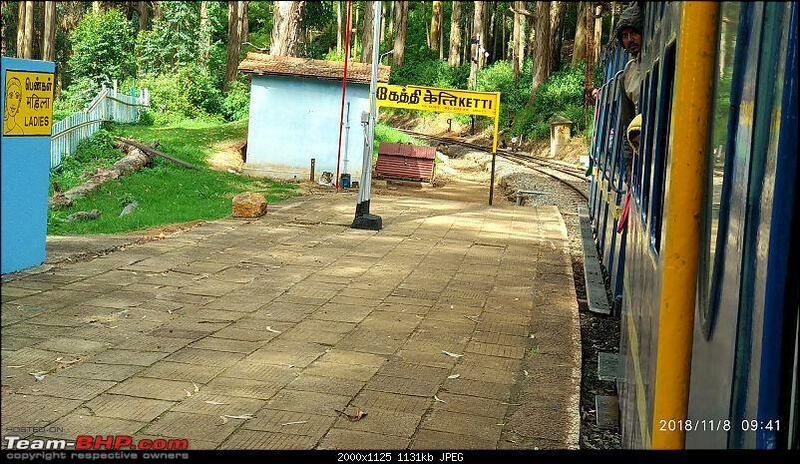 I did not return from Ooty to Bangalore, hence I am not aware if the authorities allow descending via Masinagudi. 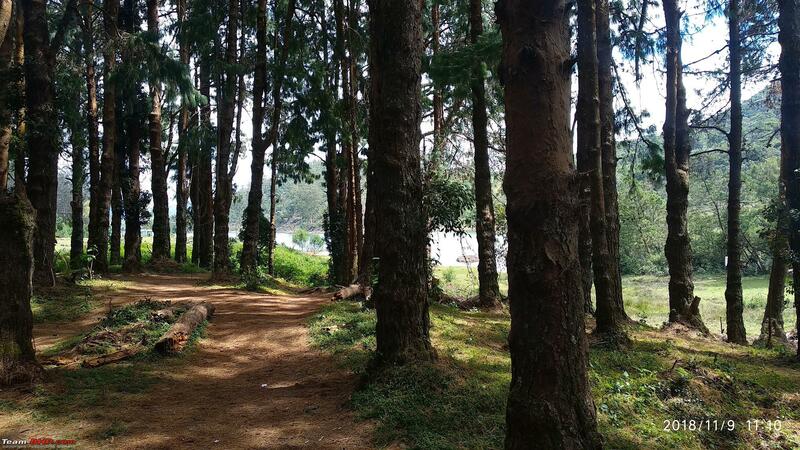 I had to go to Chennai from Ooty to attend a wedding. Followed by the usual Chennai-Krishnagiri-Bangalore NH. 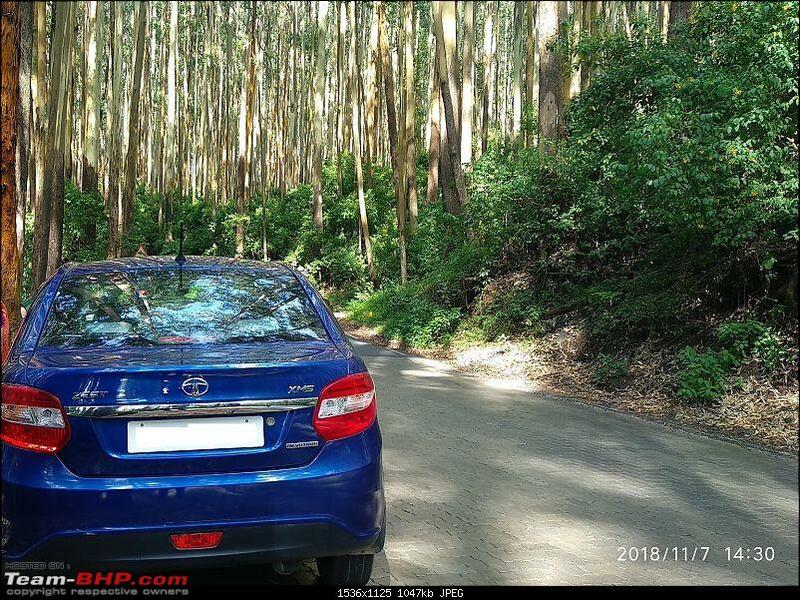 But general information in various TBHP threads is that they do not allow descent via Masinagudi during long weekends & holiday season - unless your vehicle is local registration or if you can prove that you intend to stay in one of the resorts in Masinagudi. Thanks Saket. 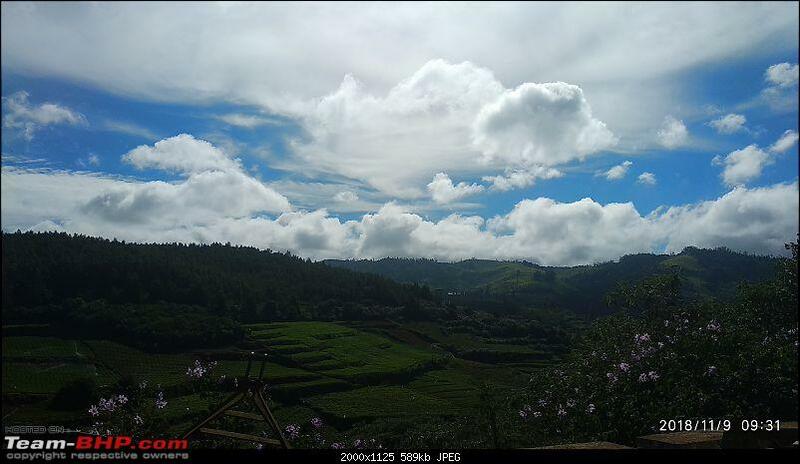 The temperature in Ooty during our visit (early November) was between 8 to 18 deg. Tap water for freezing cold in the mornings! Thanks adneeraj. 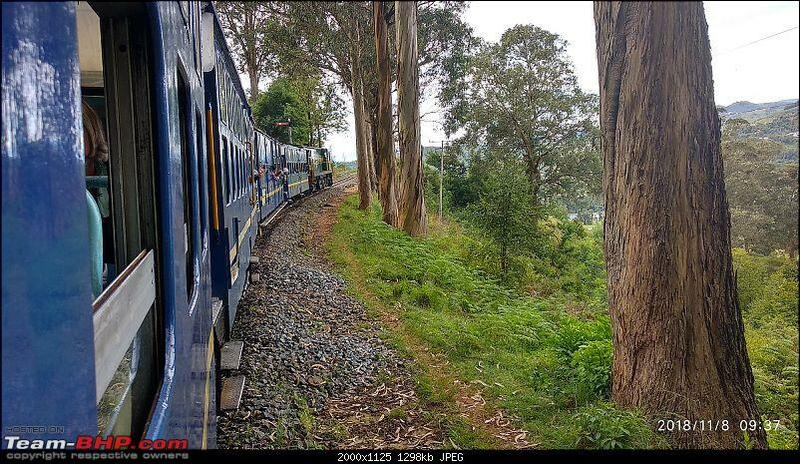 One can now book Nilgiri Mountain Railway (NMR) tickets in advance via IRCTC. Hope it helps. Thanks NPV. Yes, you are right. Had I known that the route to Avalanchi takes so much time (due to poor roads), I would have instead gone to Emerald Lake. 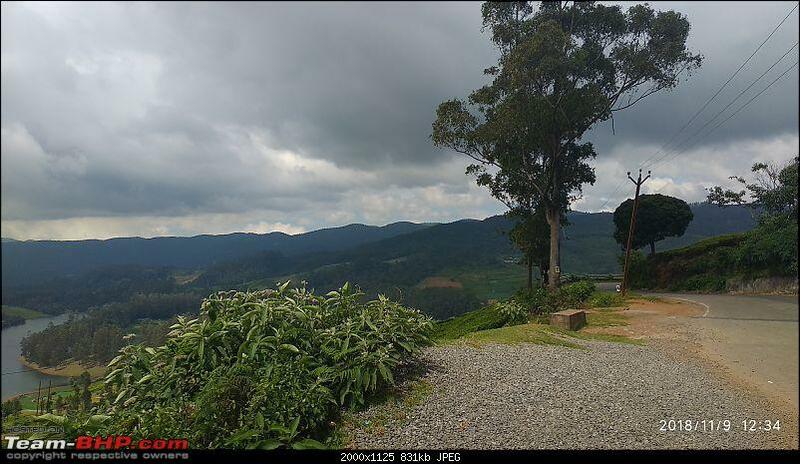 Then, I probably would have had the time to visit Kodanadu view point near Kotagiri as well.